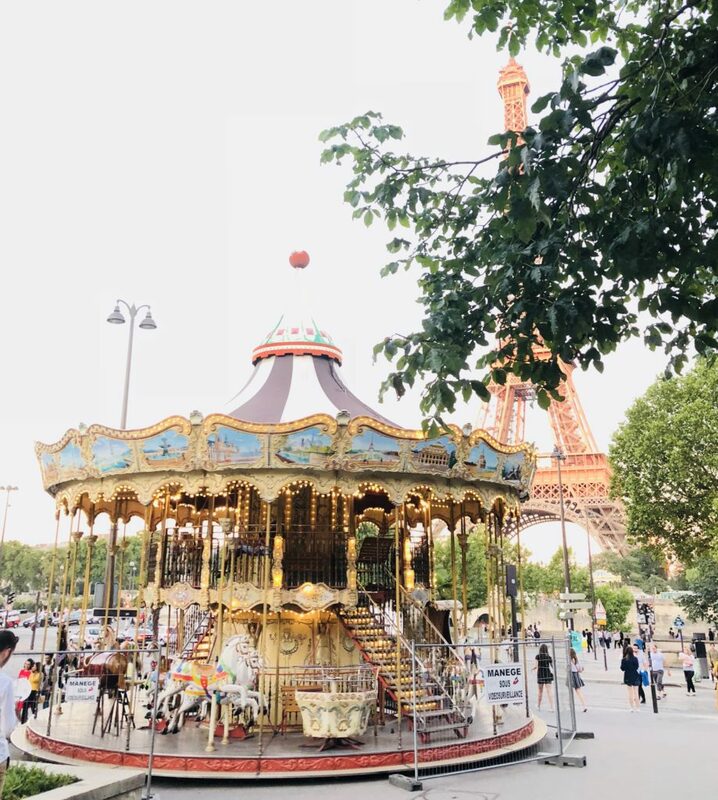 I’m not really a holiday person as I’m a real home bird and although I have enjoyed holidays in other places, Paris is the only place that has captured my heart enough to return to again and again. 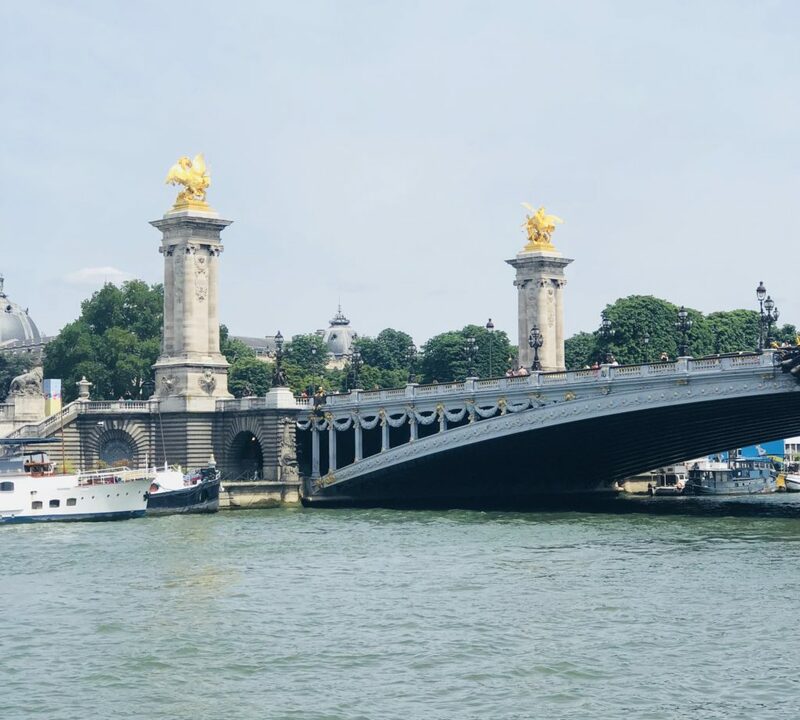 This latest trip was my 15th visit to this beautiful city and I still haven’t quite ticked off everything on my list that I want to see but I’m going to share some of my favourites with you. 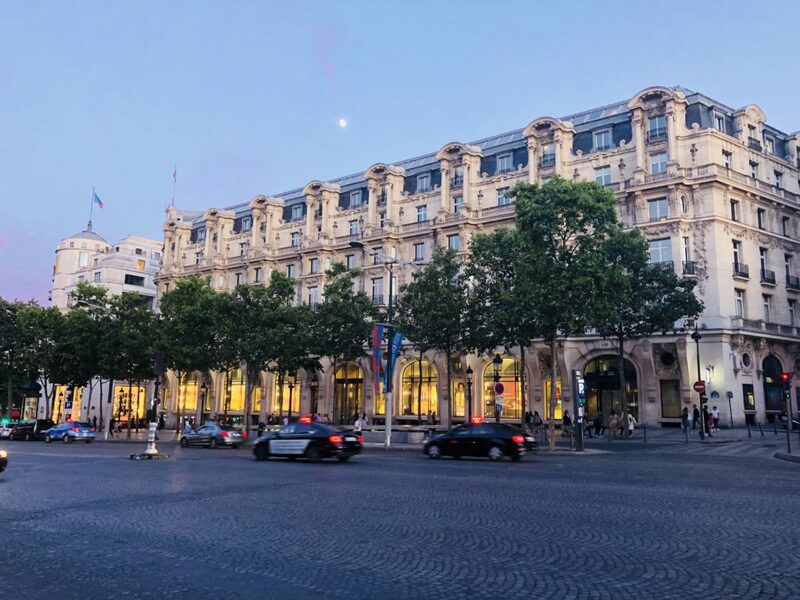 We have mainly stayed in hotels near the Champs Elysees as I love this area and find it’s an ideal distance for walking to shops and various parks etc. 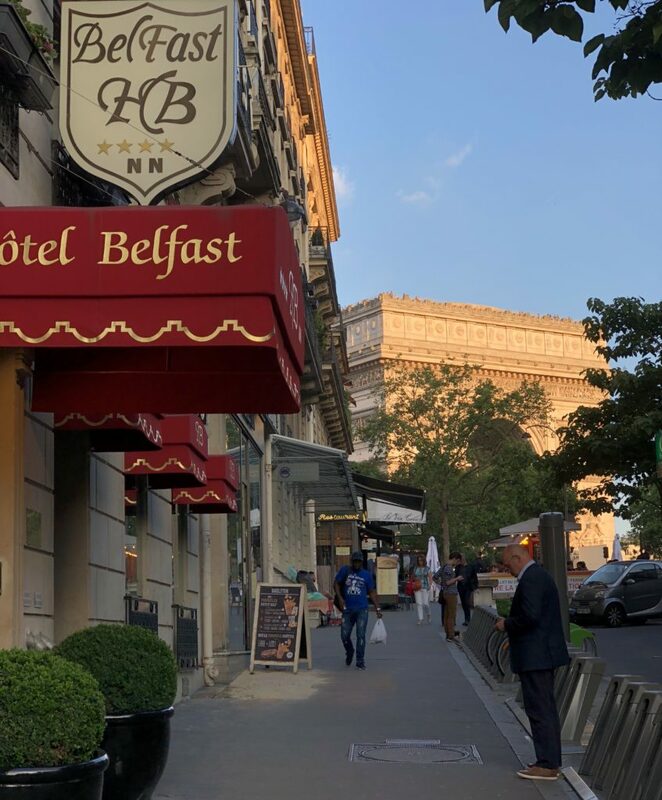 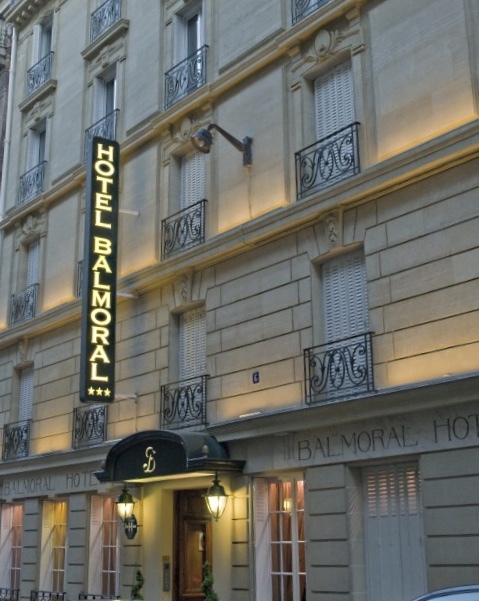 On this occasion we stayed on Avenue Carnot in the Hotel Belfast and although it was fine I much prefer the Hotel Balmoral which is situated on a quiet street between Avenue Carnot & Avenue Macmahon. 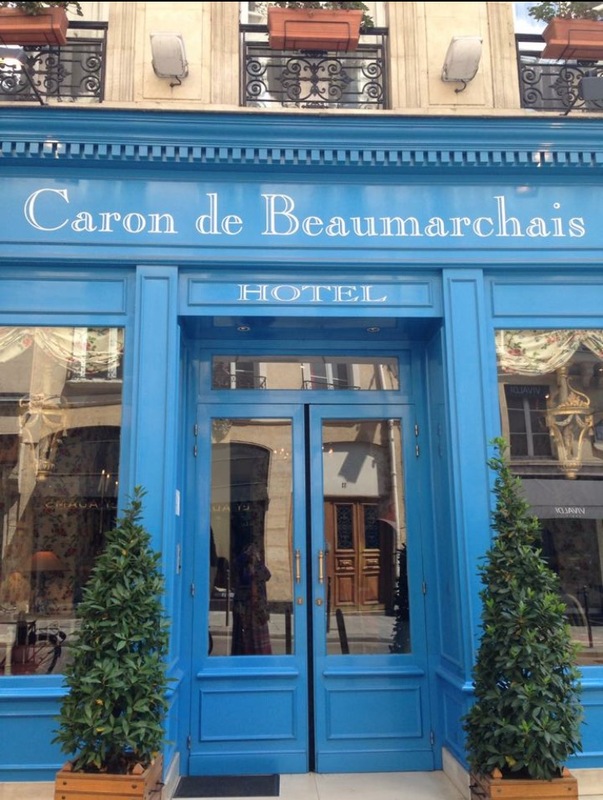 We’ve stayed in it a couple of times previously and unfortunately it was fully booked this time but it’s a definite favourite of mine. 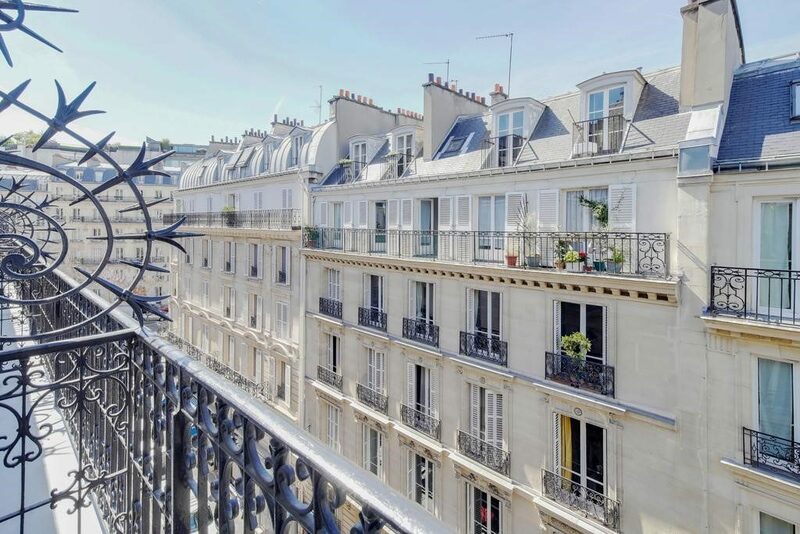 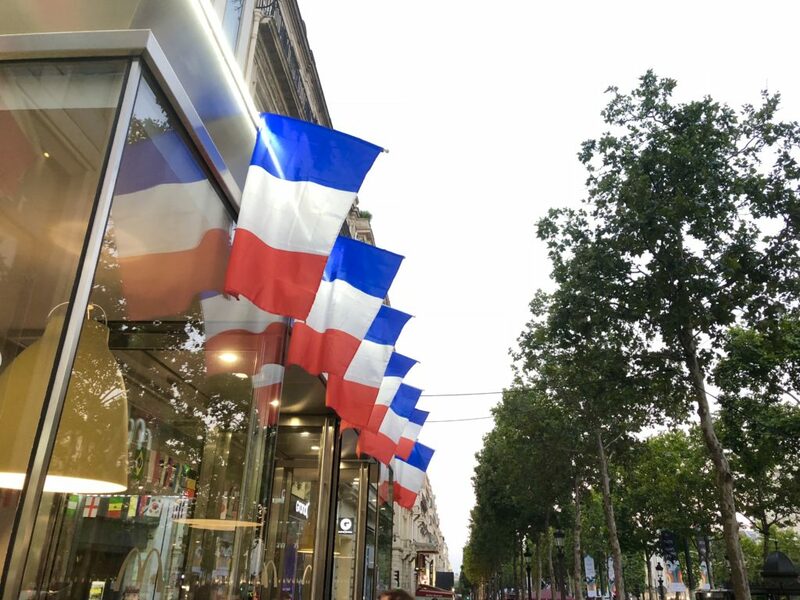 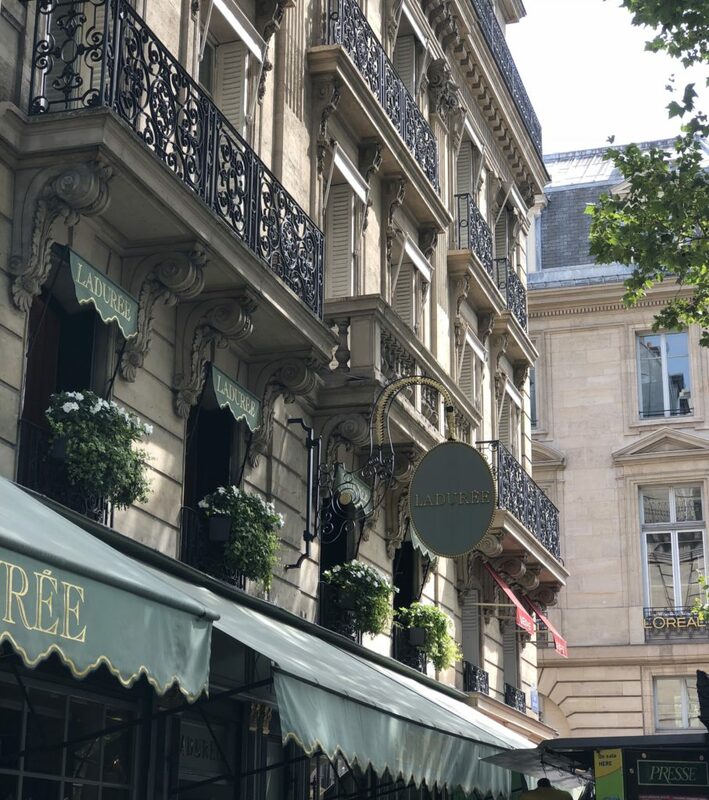 On another occasion we stayed in a lovely apartment near the Eiffel Tower which was great but I prefer the area near the Arc de Triomphe and Champs Elysees. 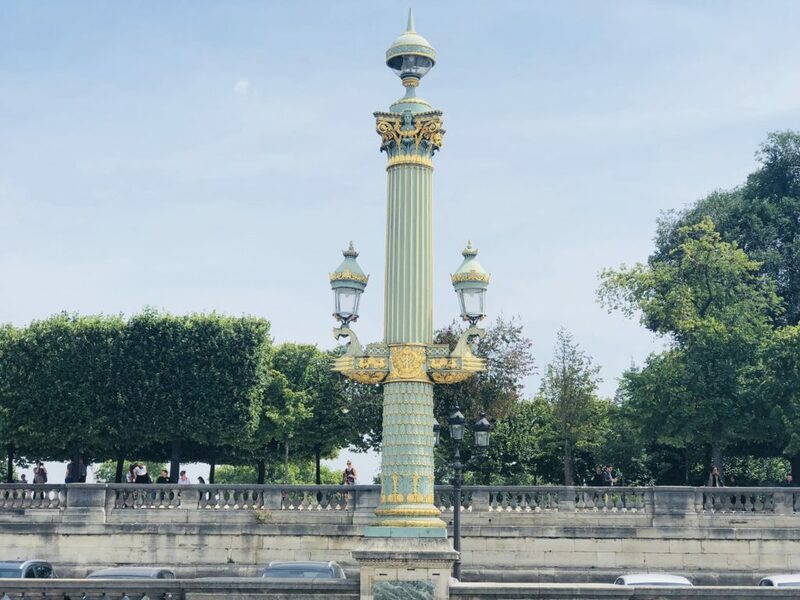 When you visit Paris at first you do feel a certain obligation to visit the main tourist attractions such as the Eiffel Tower but I didn’t enjoy it at all and found the whole experience distinctly underwhelming and I much prefer to admire it from a distance! 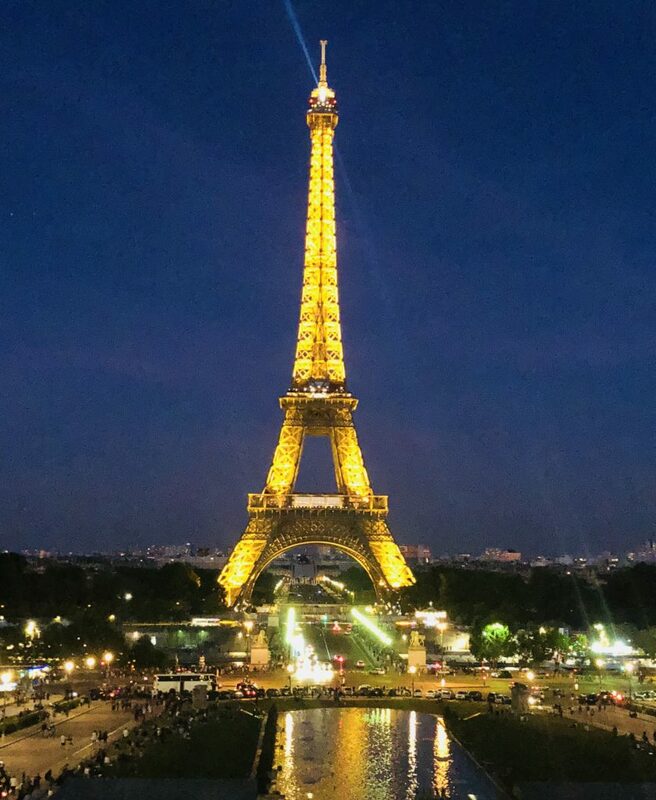 Even the views from the top didn’t inspire me as the Paris skyline minus the Eiffel Tower just didn’t do it for me and this combined with the huge queues and being squashed in lifts with lots of people is an experience I have no desire to repeat. 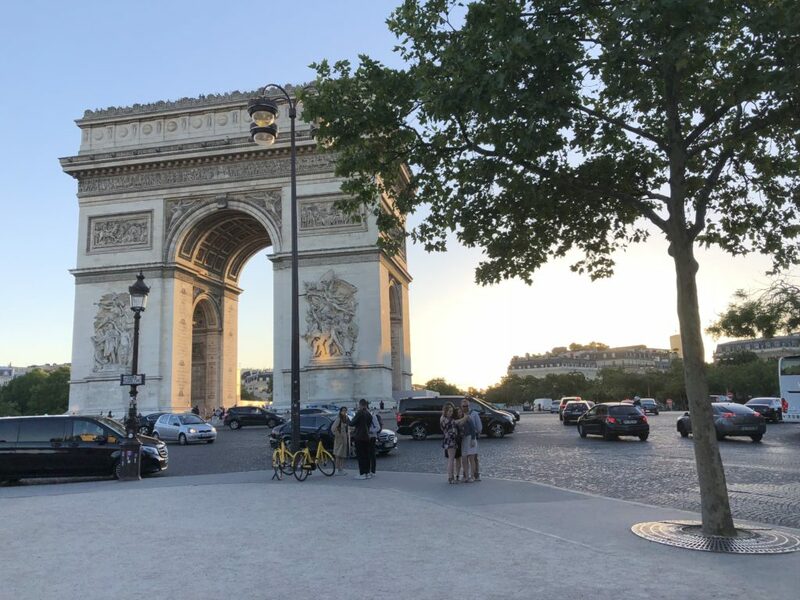 I much prefer climbing to the top of the Arc de Triomphe and love the views from there as it’s right in the centre of L”Etoile (The Star) thus named due to the 12 avenues radiating from it one of which being the Champs Elysees. 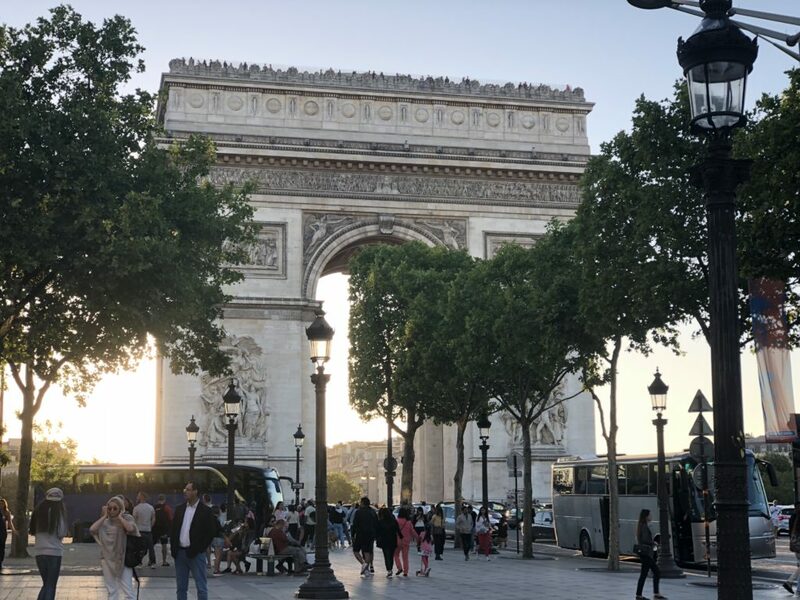 The Arc de Triomphe was built by Napoleon to pay homage to the French armies and it has the names of 660 generals engraved on an inner arch and there is also the tomb of the unknown warrior marked by an eternal flame and I have to say it’s one of my most favourite landmarks in the city. 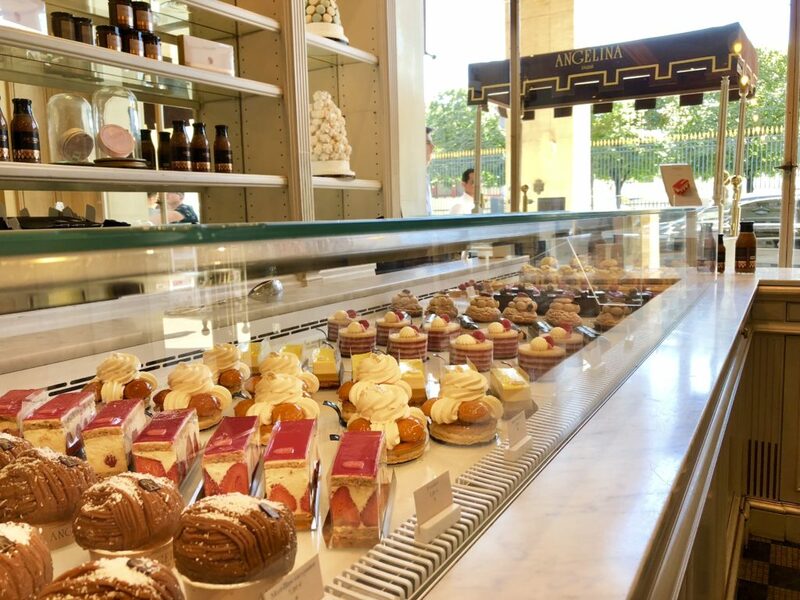 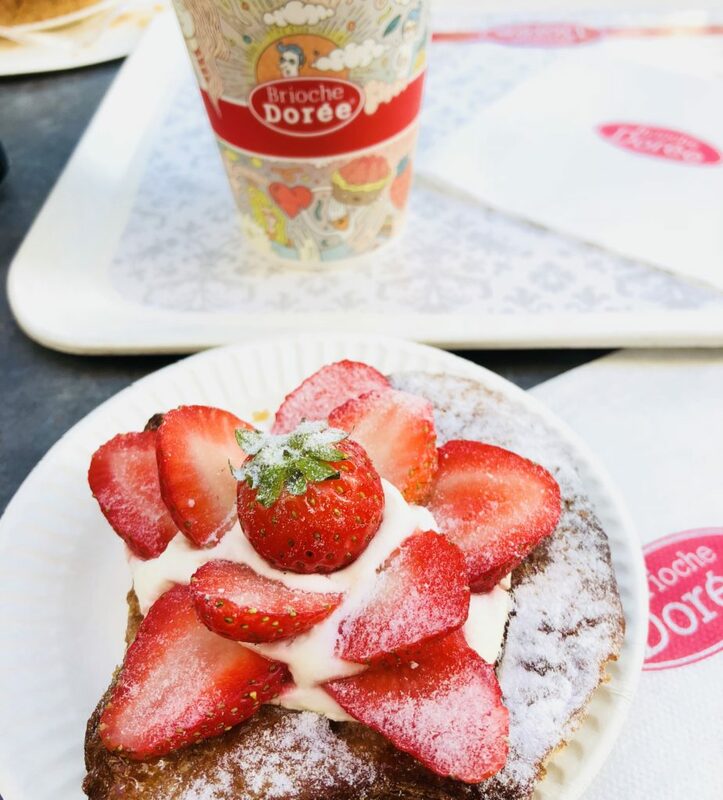 I love wandering down the Champs Elysees and stopping in Brioche Doree for coffee and pastries especially for one of their strawberry tarts which are delicious! 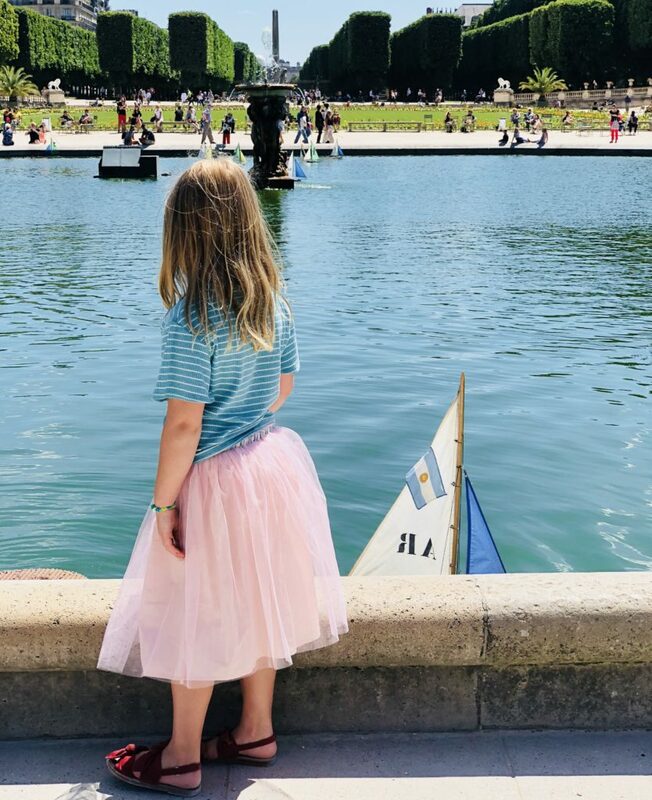 I don’t go to Paris to shop apart from picking up little outfits for Joshua & Lydia so we spend most of our time walking to favourite parks and patisseries and if you walk the full length of the Champs Elysees you will come to the Place de la Concorde which is the largest square in Paris and if you continue straight down you will come to Rue de Rivoli which is opposite to the Jardin Tuileries which are beautiful gardens overlooking the Louvre Palace. 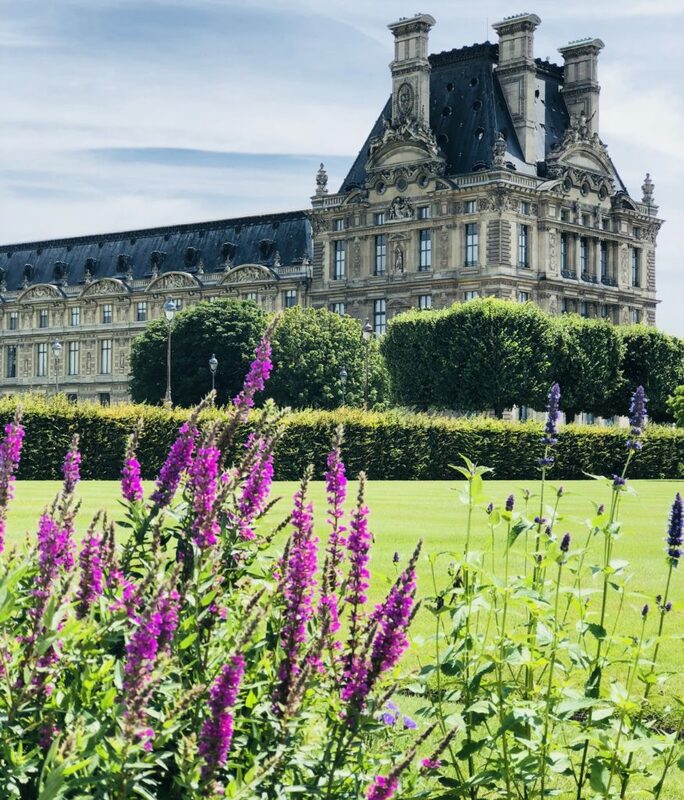 The Louvre Palace is home to the fanous Mona Lisa painting and I have to say, much like my Eiffel Tower experience, that I prefer to wander the gardens and admire the building from outside and although I absolutely loved visiting Napoleons apartments, I certainly wouldn’t rush back to see the Mona Lisa as it’s a tiny painting and there are always crowds of tourists fighting their way through to it. 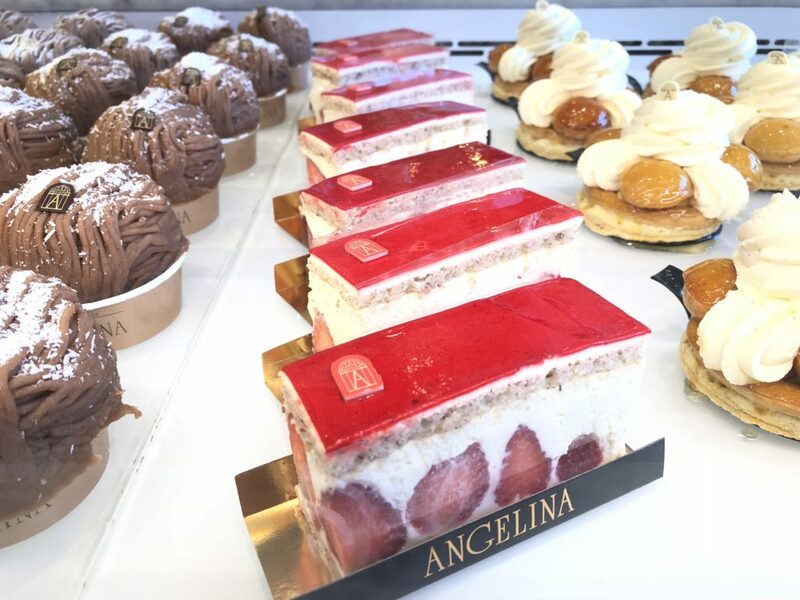 This area is beautiful and perfect for spending time wandering around the gardens before heading to one of my all time favourite patisseries Angelina. 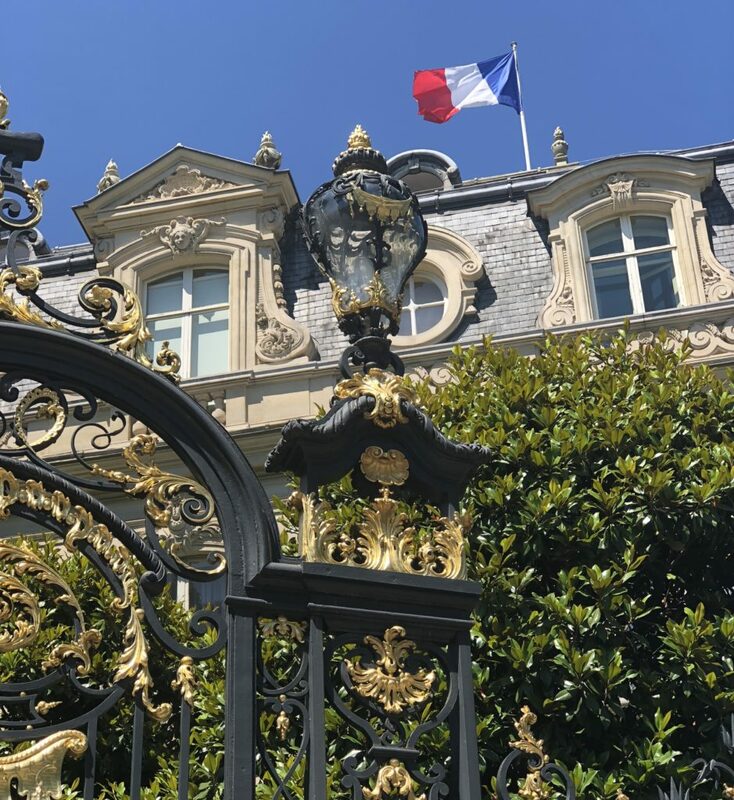 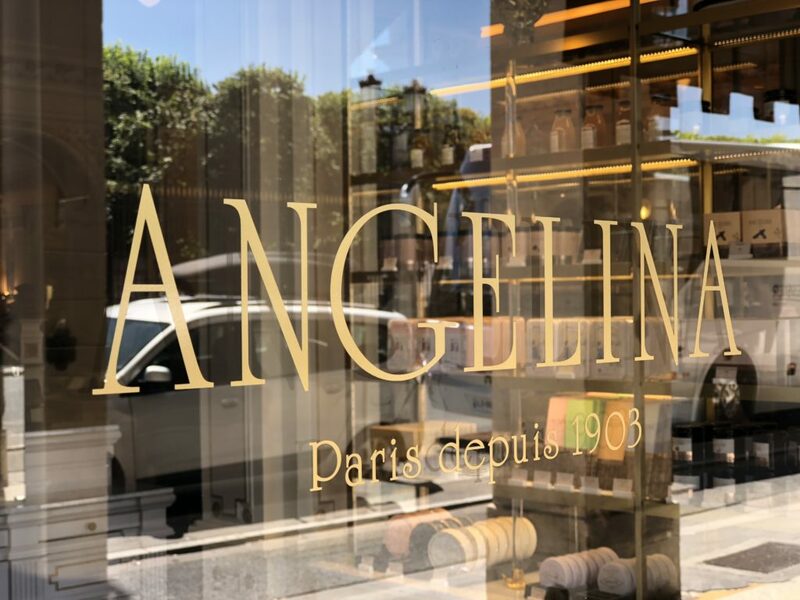 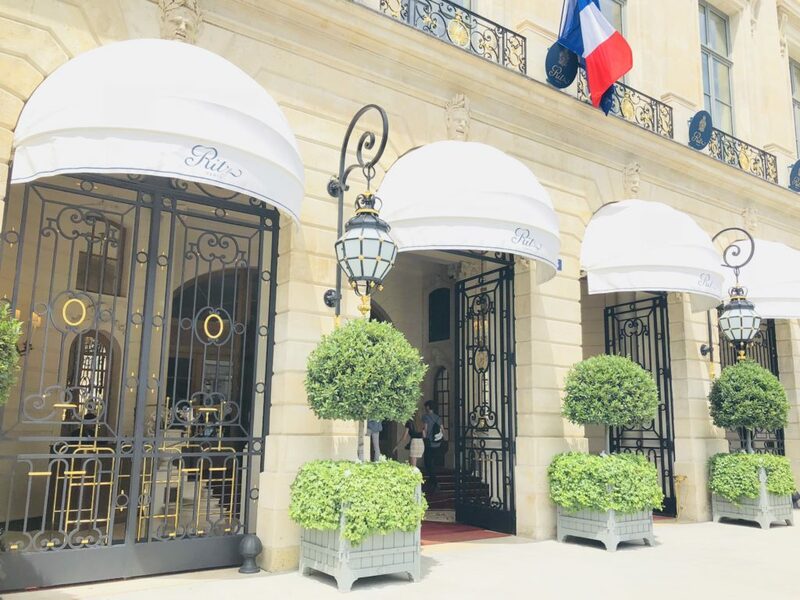 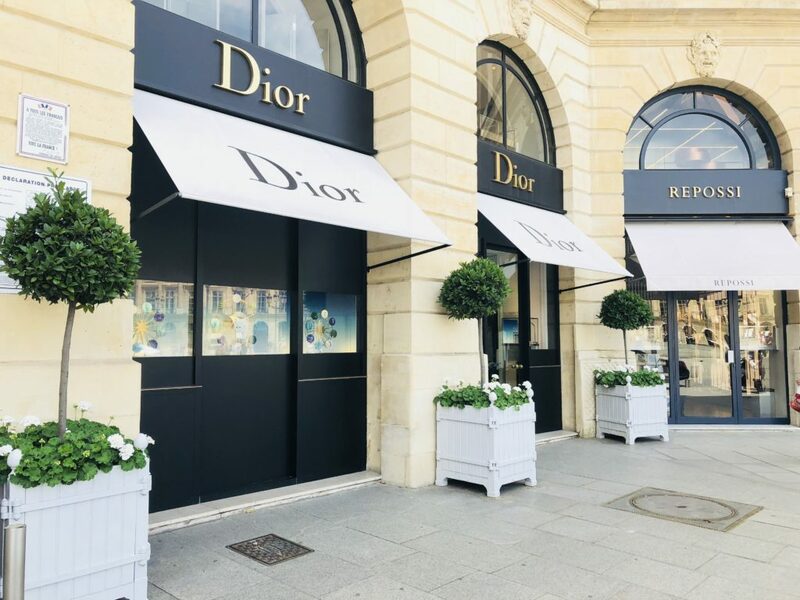 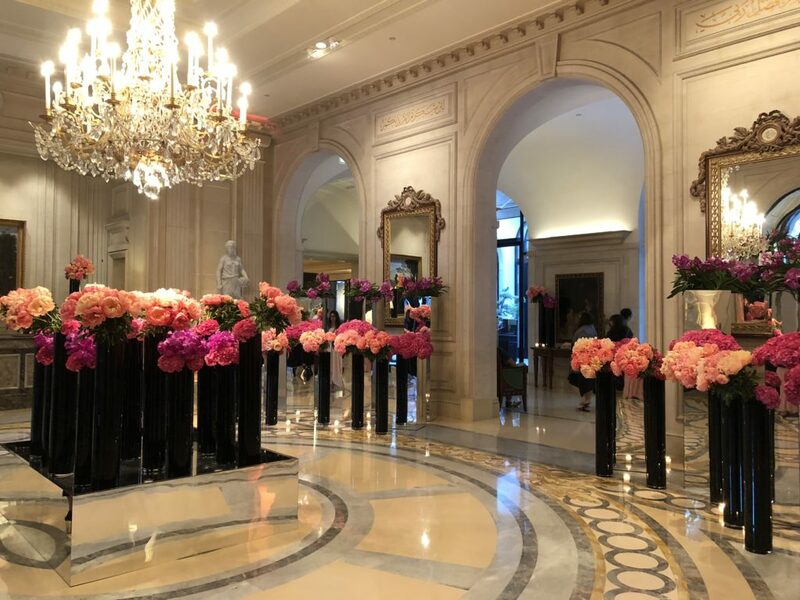 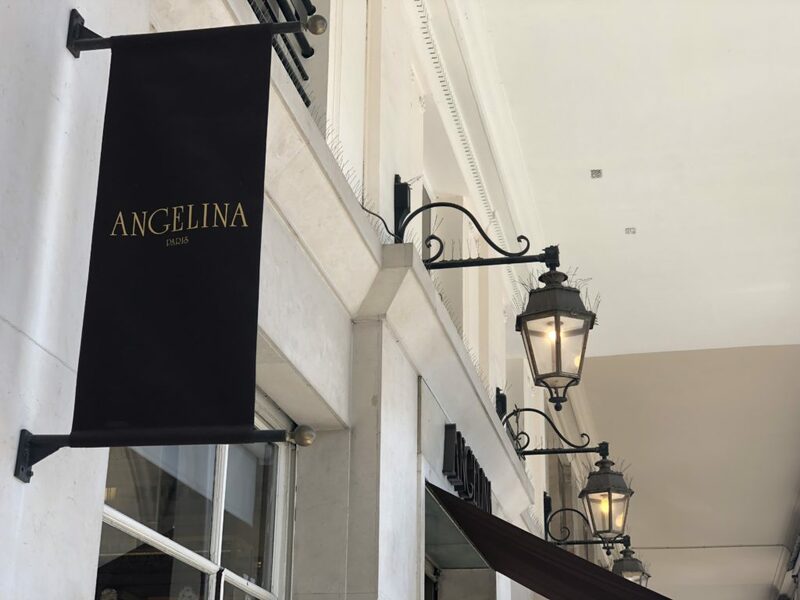 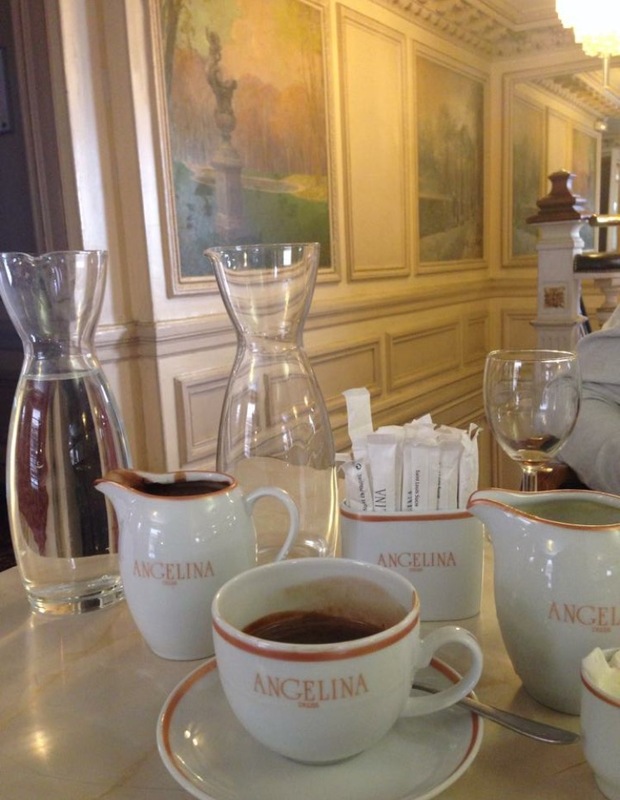 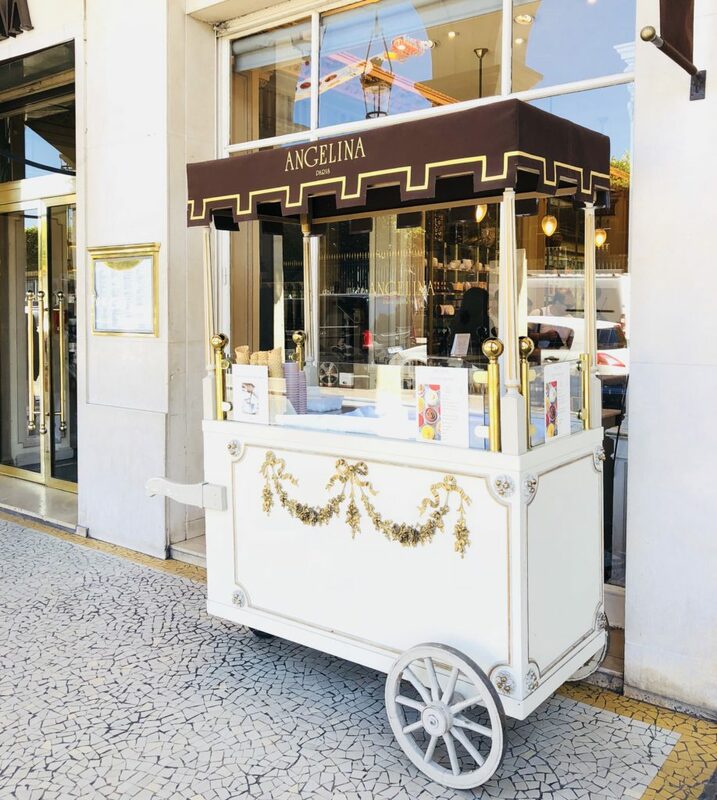 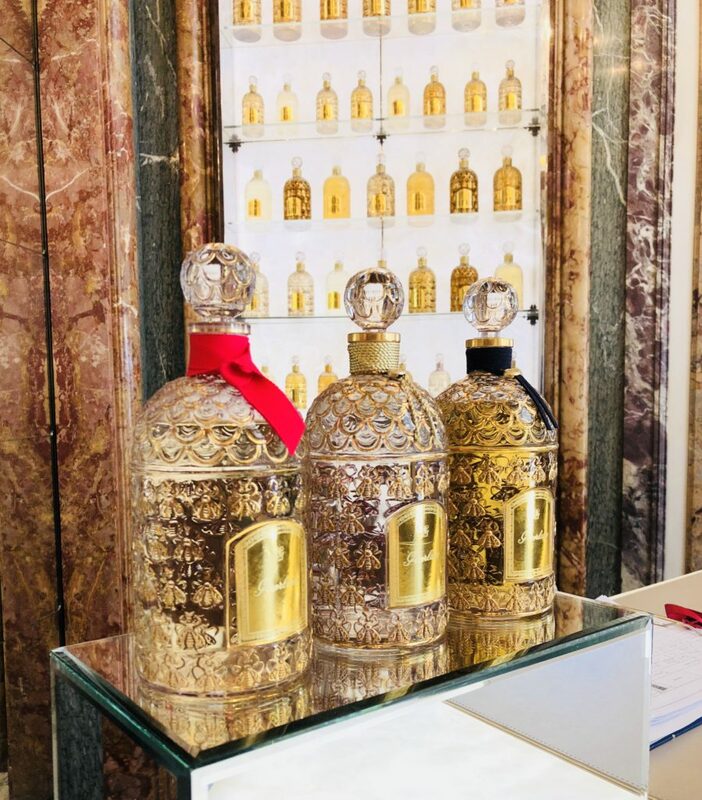 Angelina is situated on Rue de Rivoli which is one of the most famous streets in Paris which runs along the north wing of the Louvre Palace and Jardin de Tuileries. 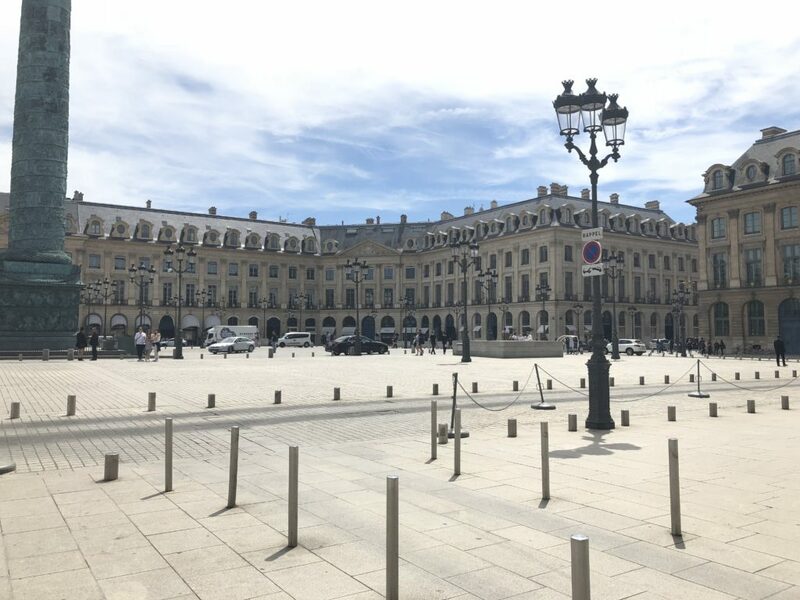 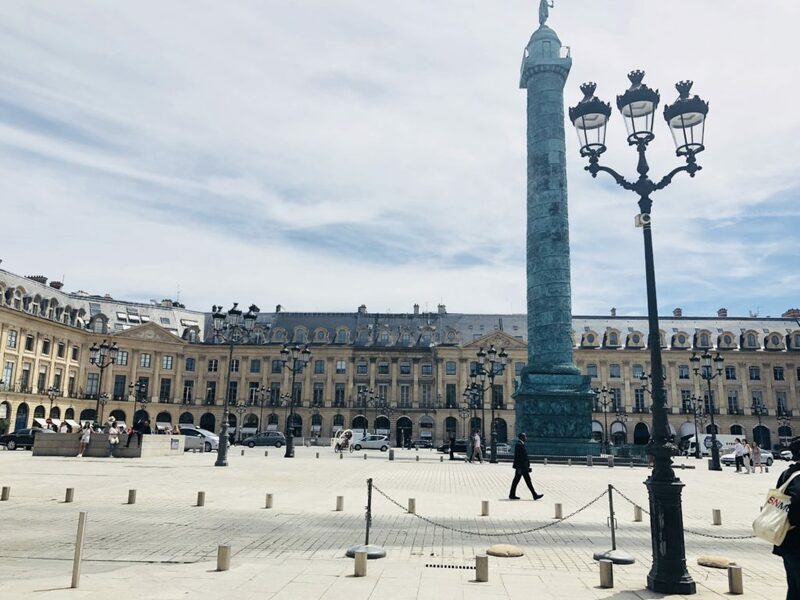 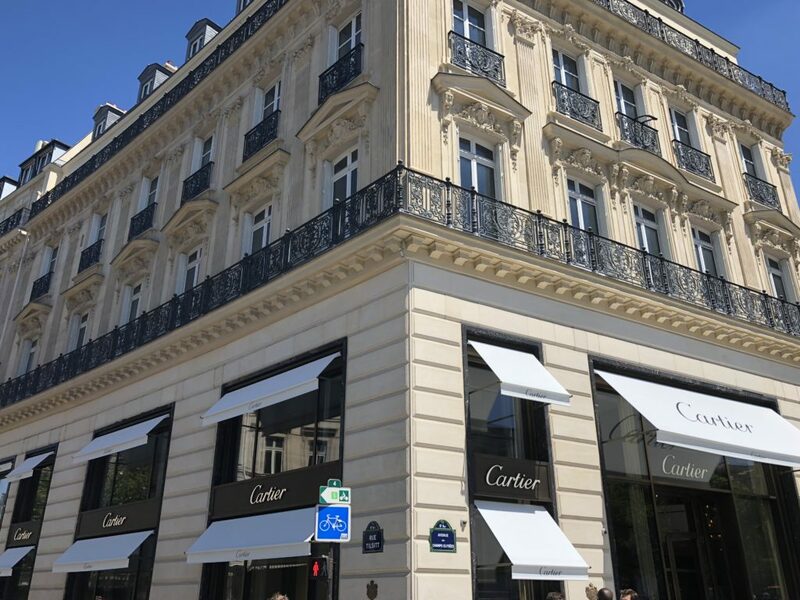 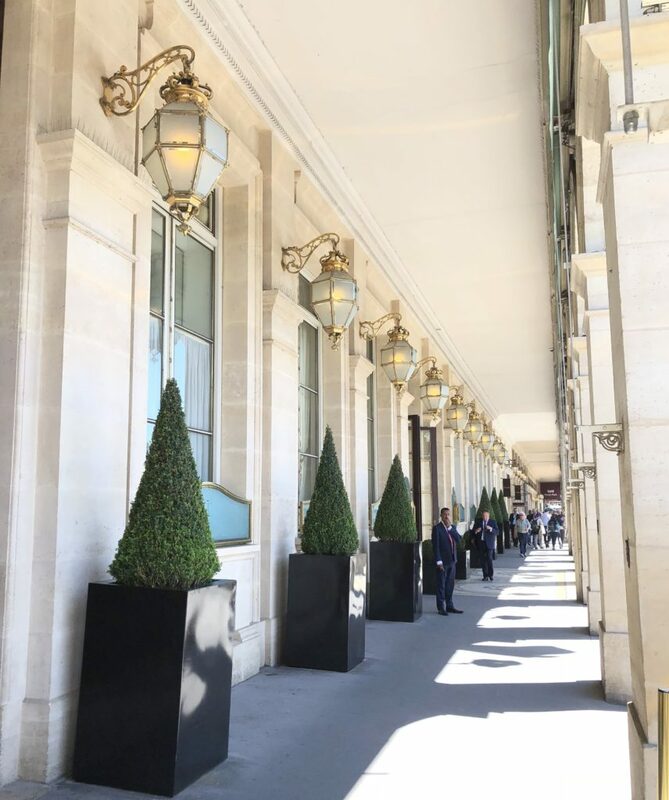 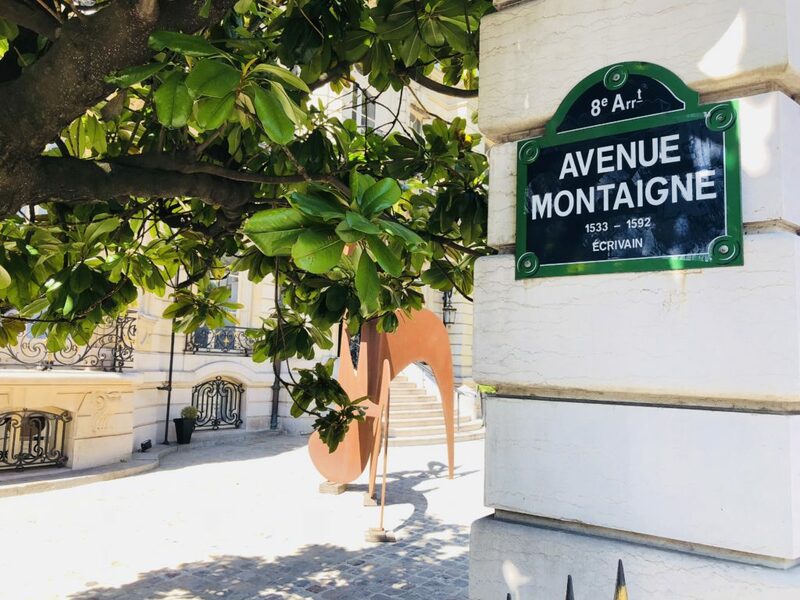 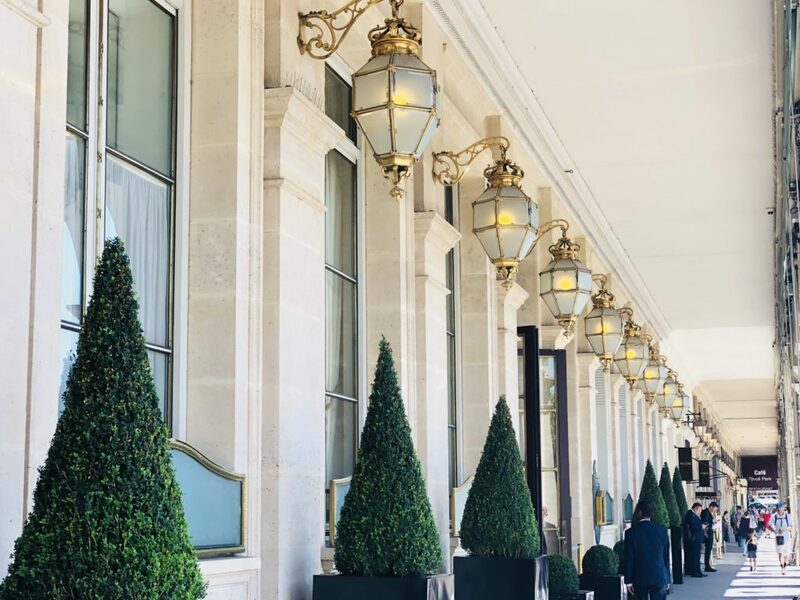 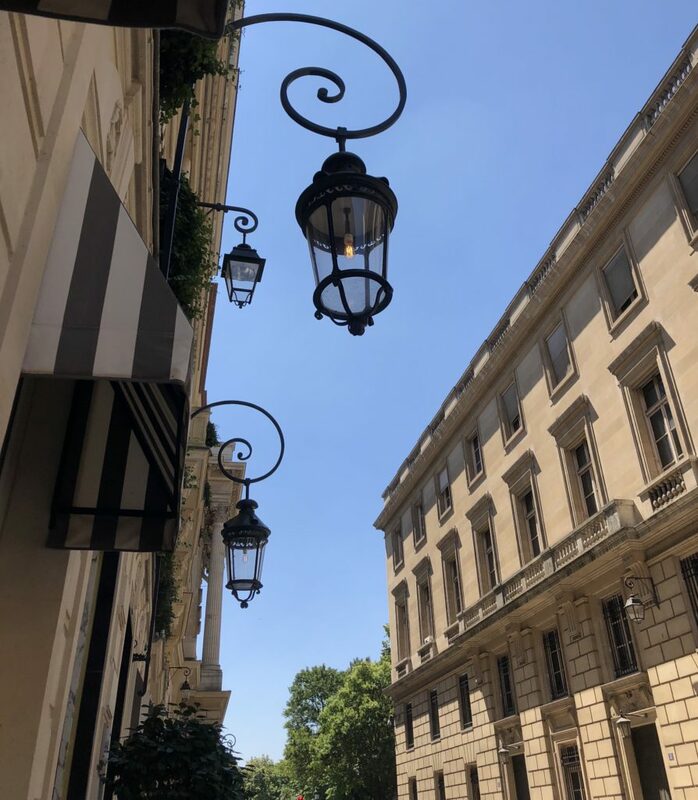 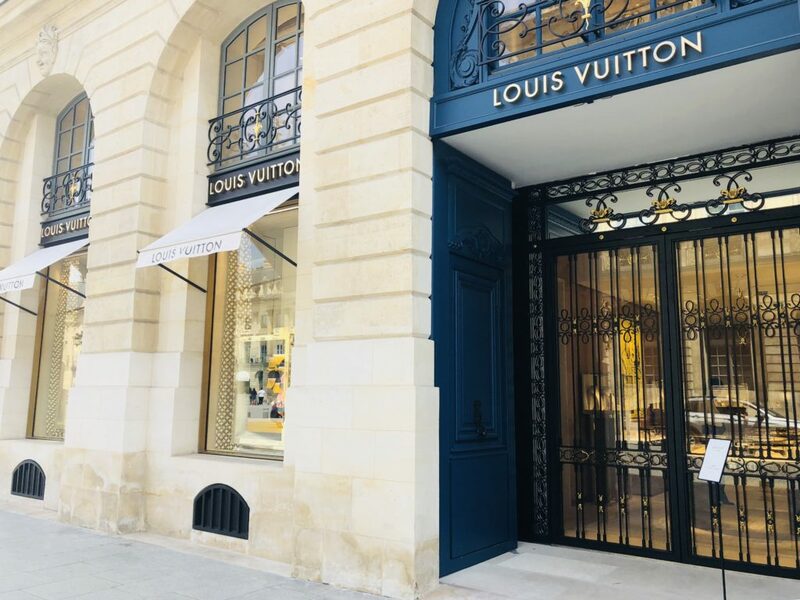 It’s a beautiful street and if you detour off it along Rue de Castiglione this leads through to Place Vendome which is a very upmarket Parisian square filled with stunning architecture and home to The Ritz and many designer boutiques. 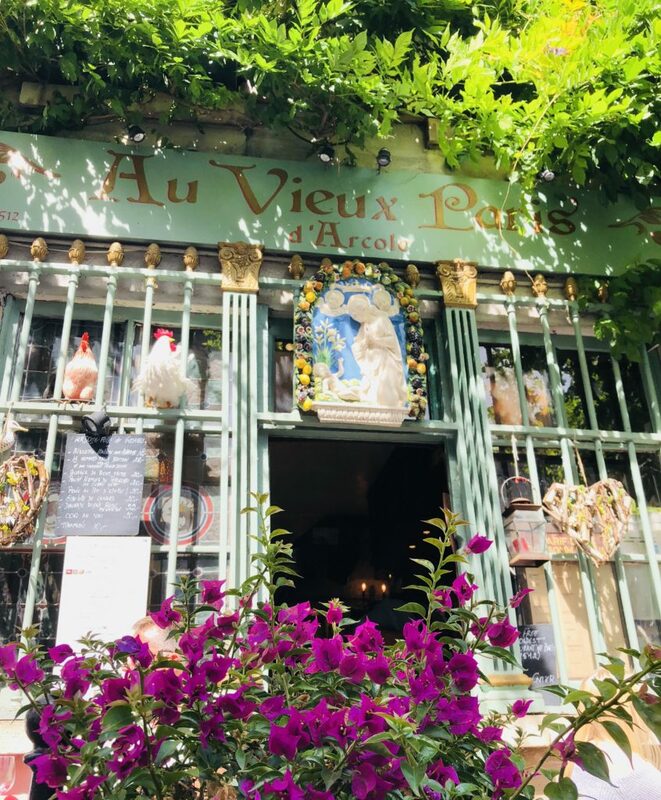 It’s one of my favourite spots in Paris and definitely worth a visit. 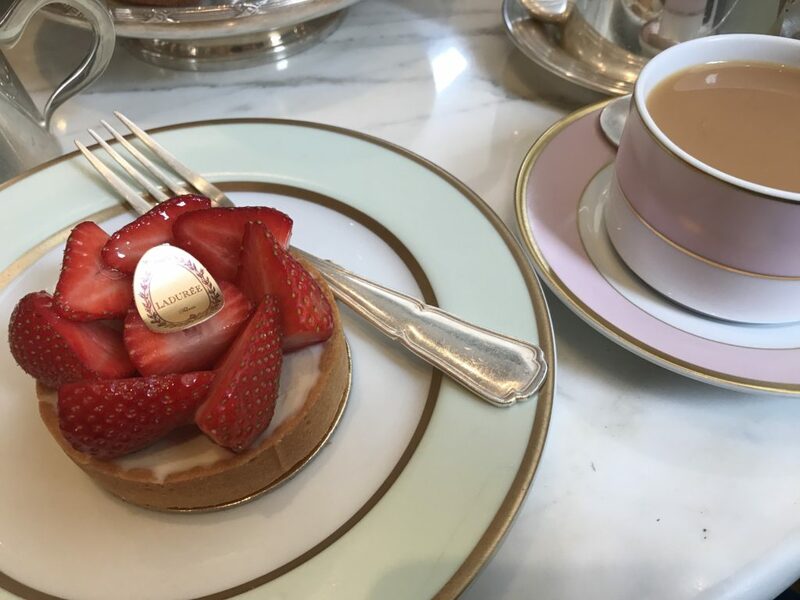 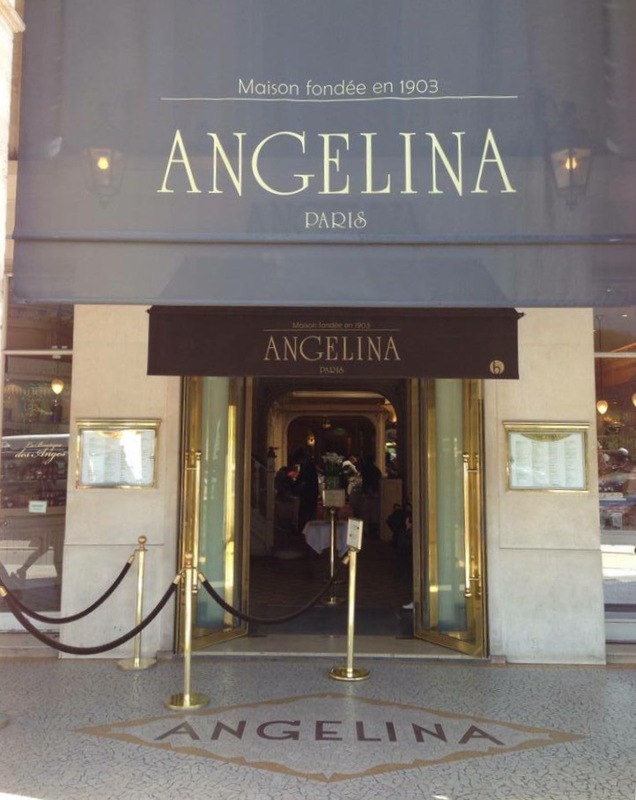 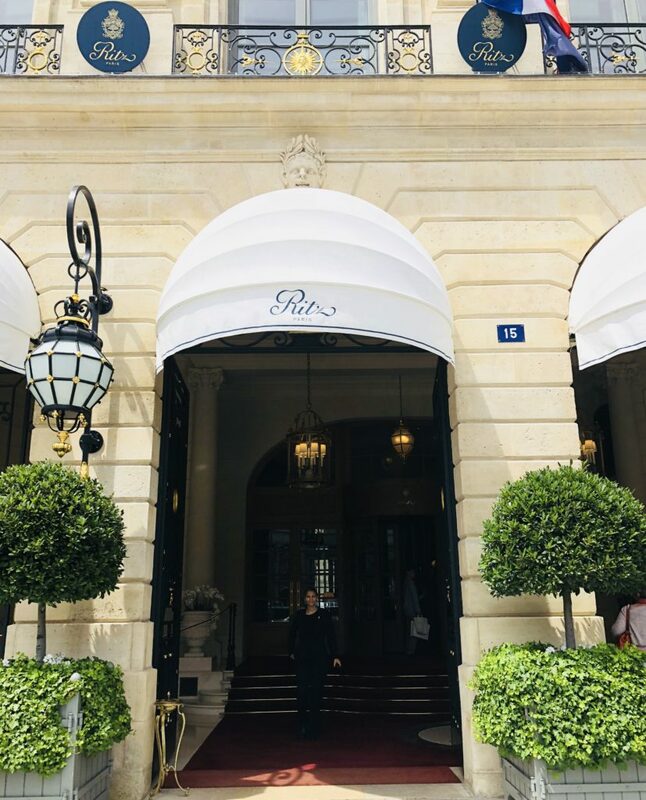 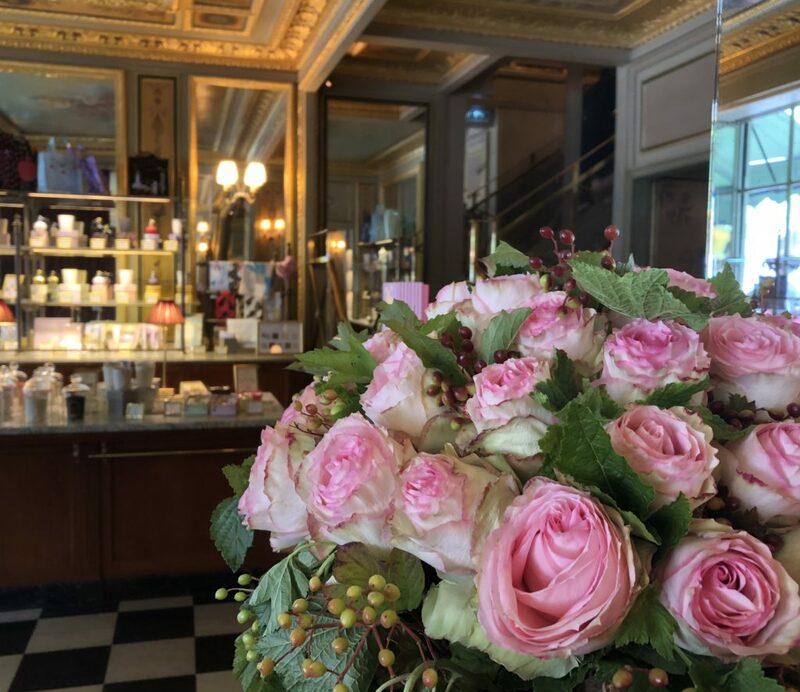 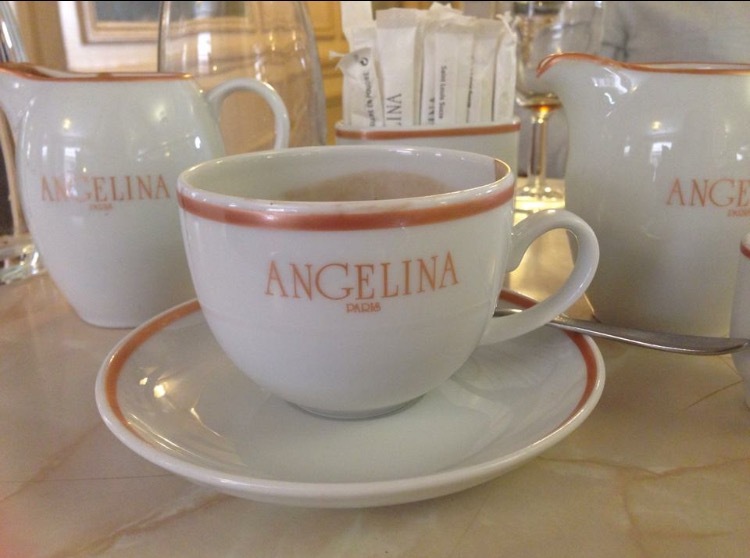 Angelina is a famous Salon de thé /Patisserie which was founded in 1903 and it’s where Coco Chanel went for afternoon tea when she was staying in her suite in The Ritz. 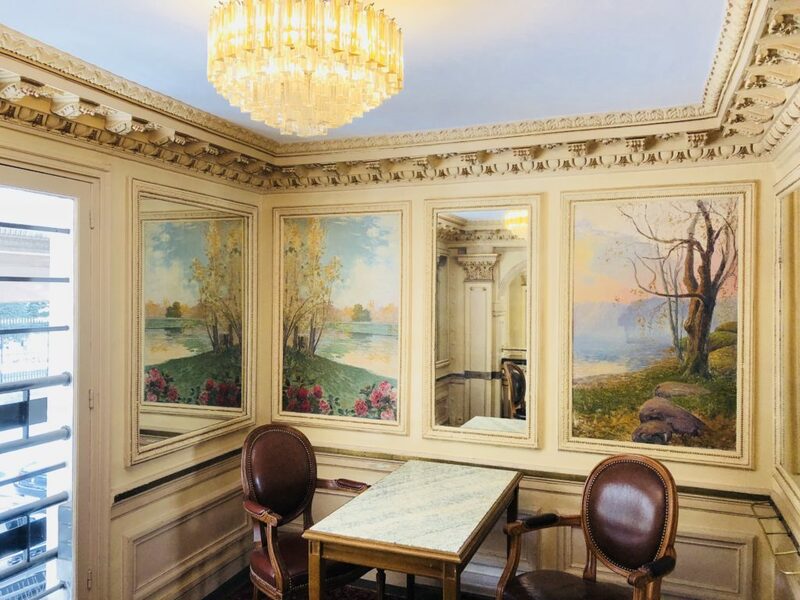 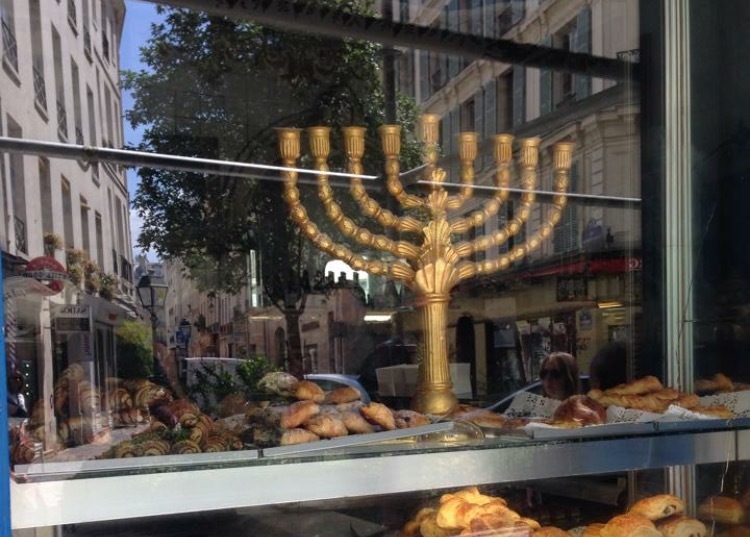 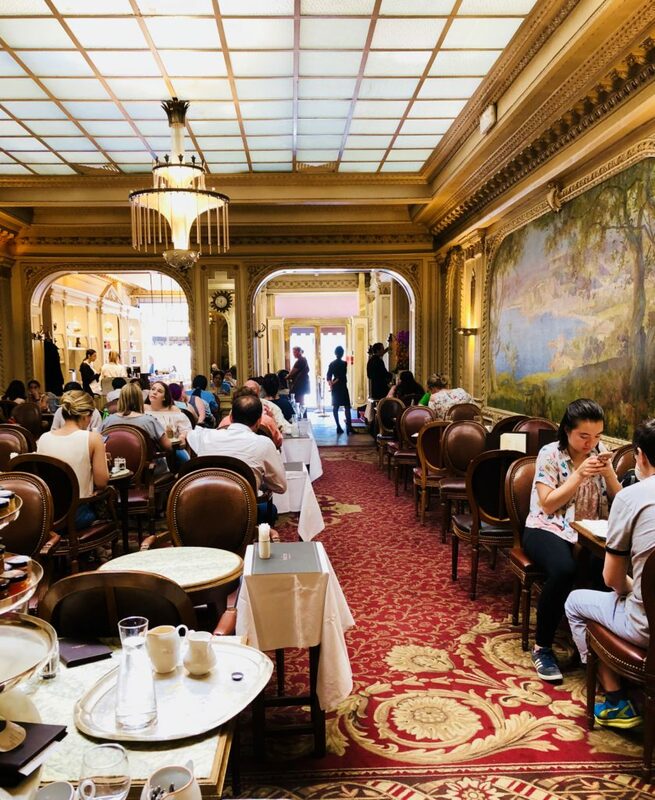 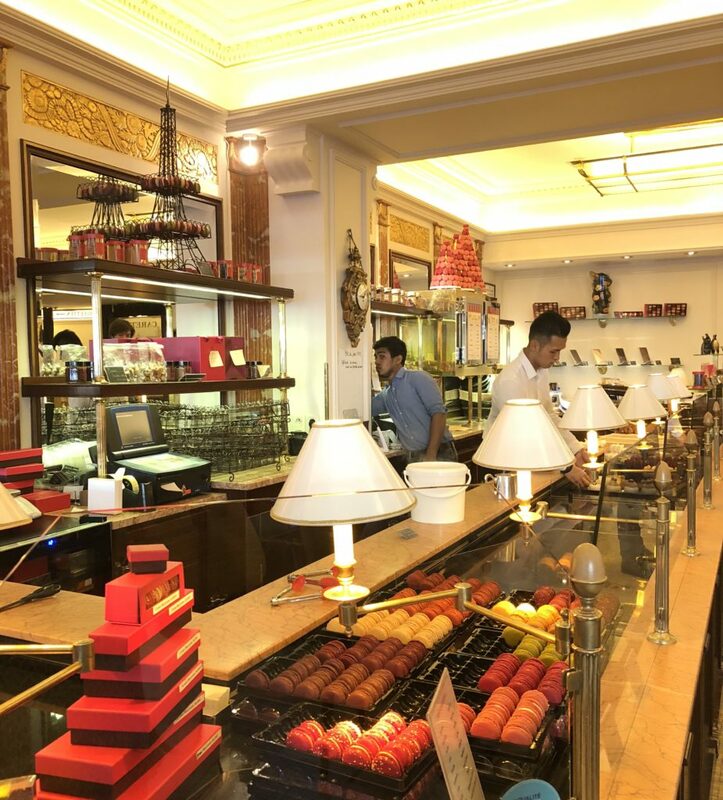 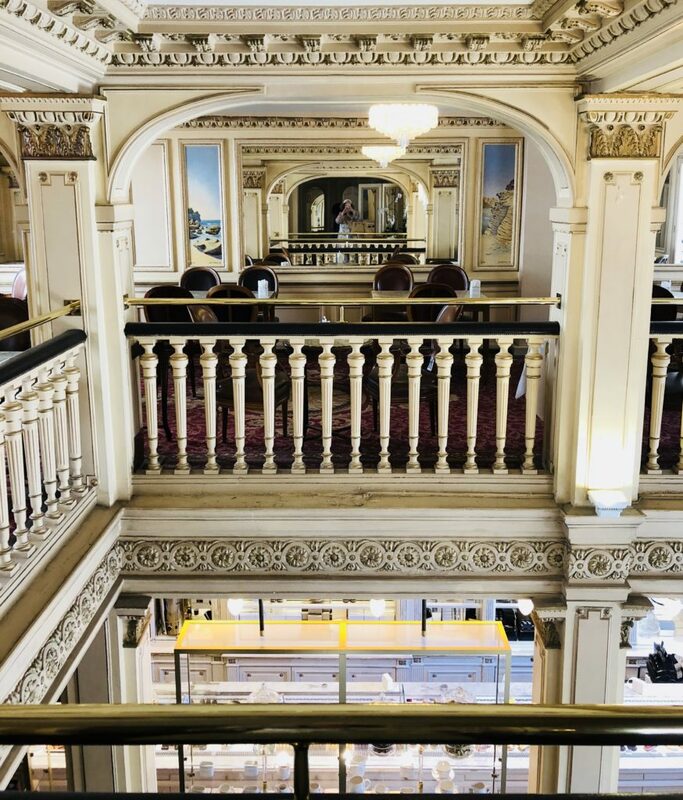 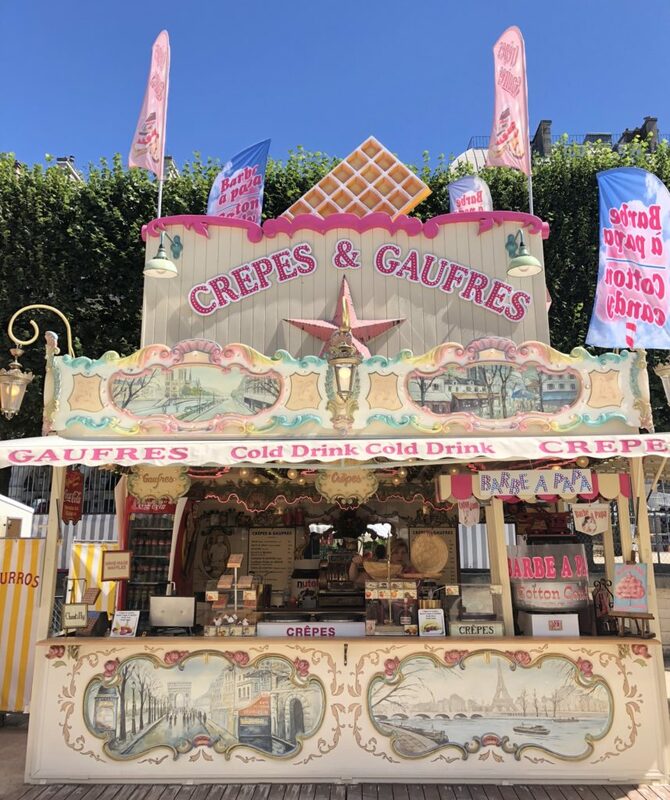 The typically French decor and sense of history hugely appeals to me and they serve the most delicious hot chocolate and pastries as well as meals or snacks. 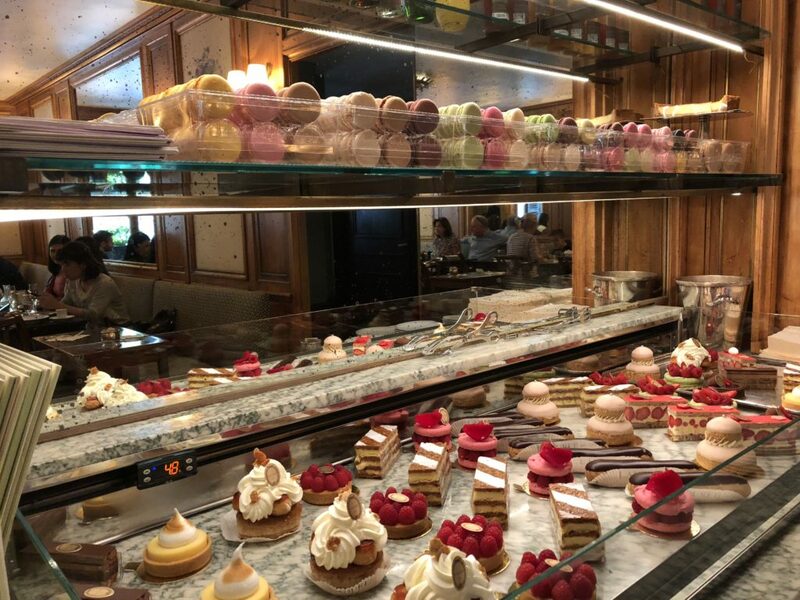 My favourite is their Croque Madame followed by white hot chocolate & my favourite pastry, one of their famous ‘fraisier’ which consists of hazelnut biscuit, vanilla cream and fresh strawberries. 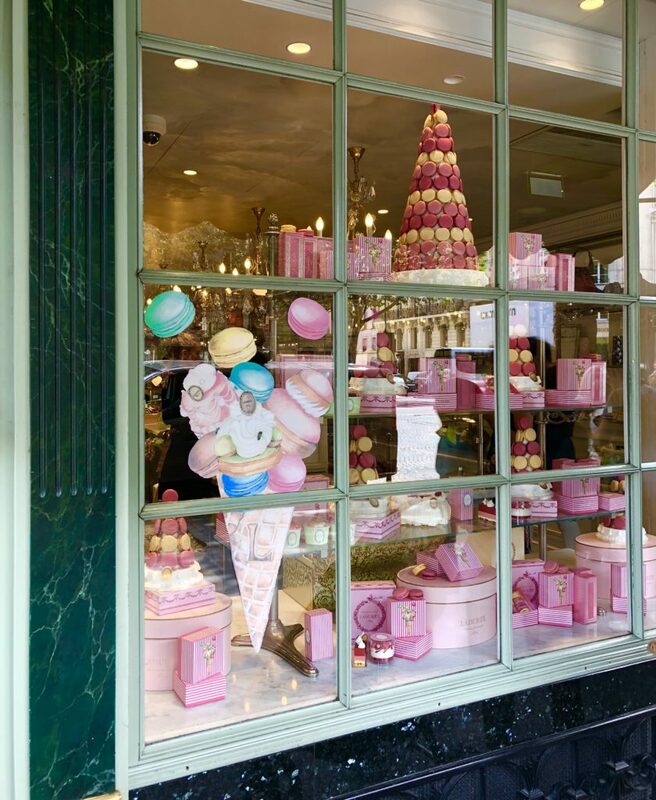 I always pick up a few little gifts here as well as they sell beautifully packaged teas, chocolates & biscuits. 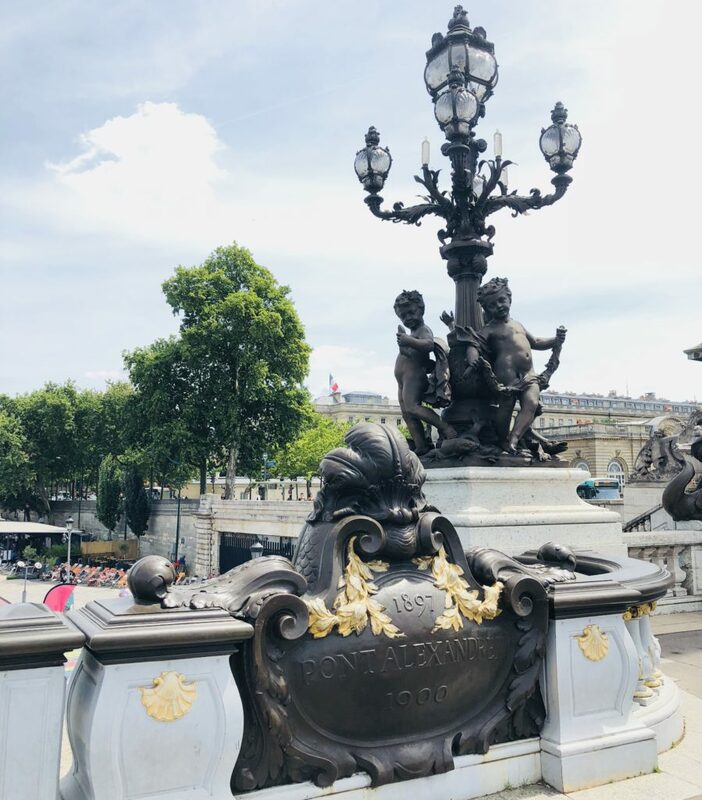 It’s definitely one of my top recommendations for anyone visiting Paris and you’ll not be disappointed although I would advise going at less busy times during the day to avoid the queues. 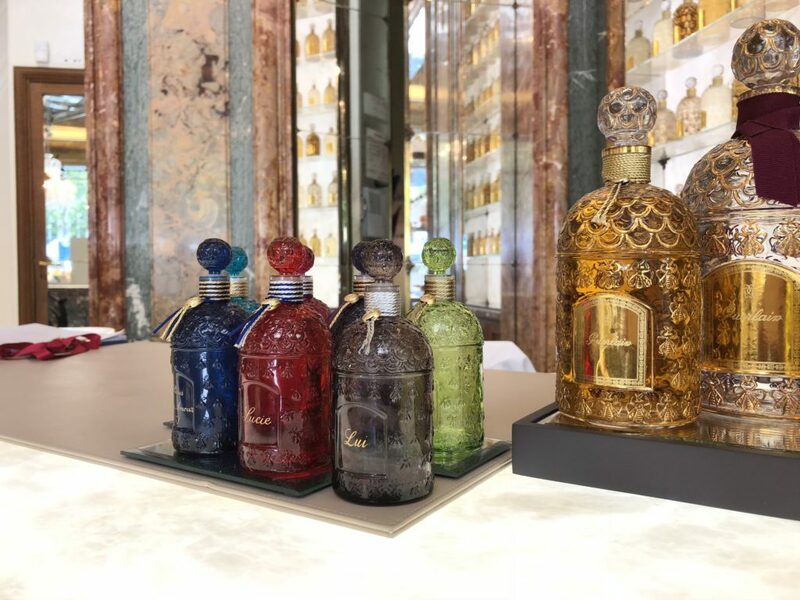 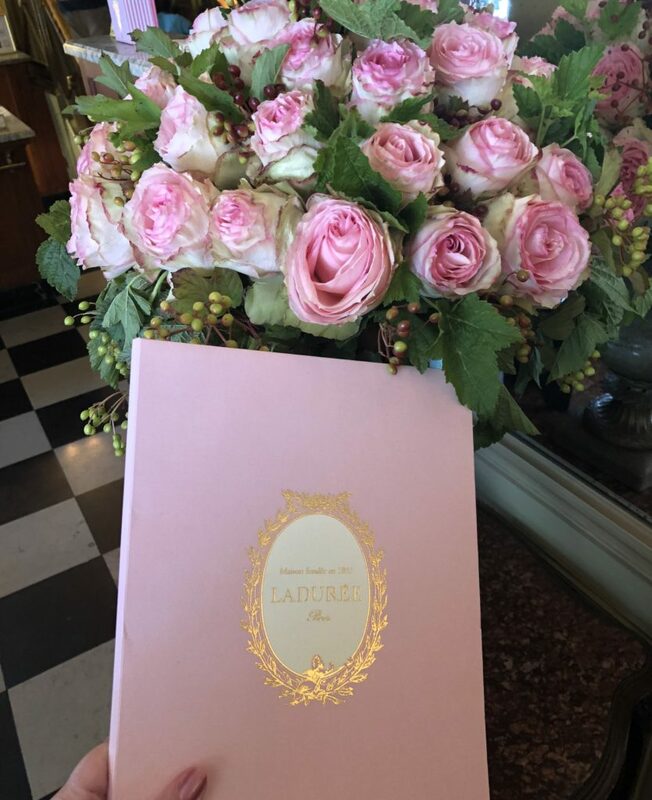 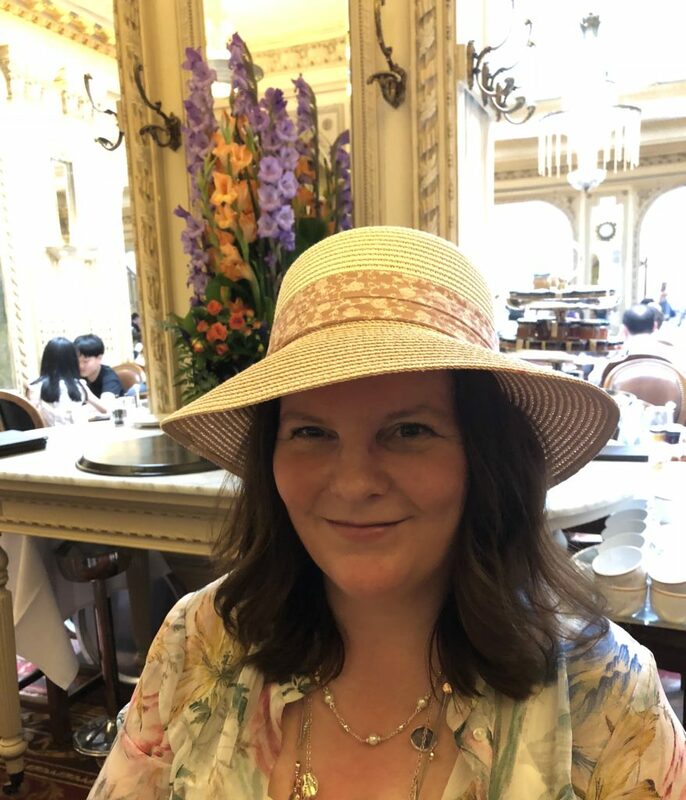 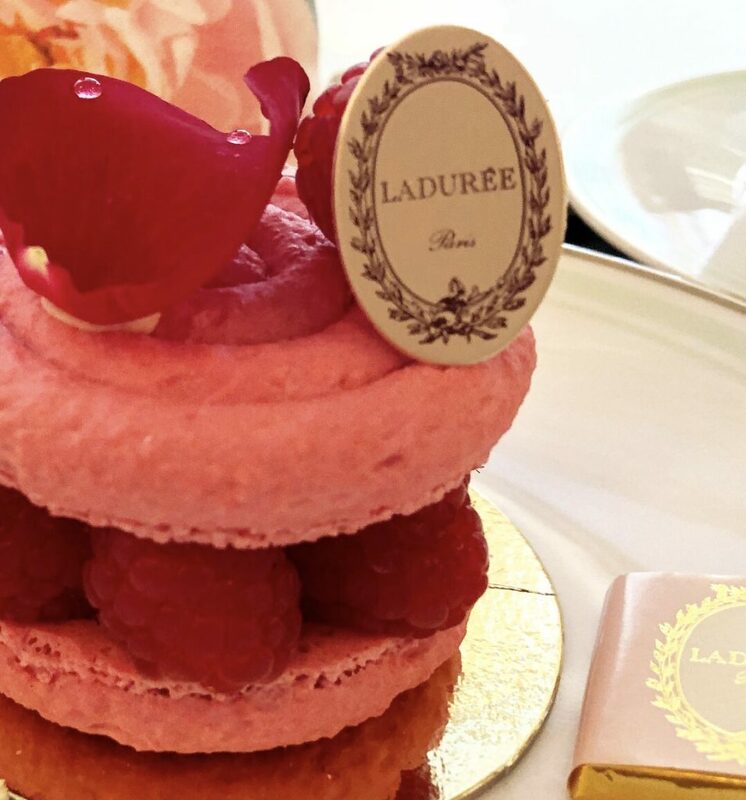 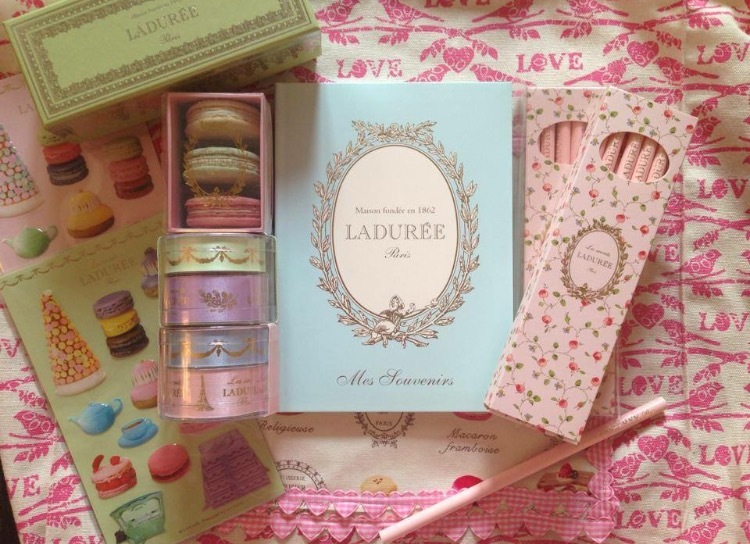 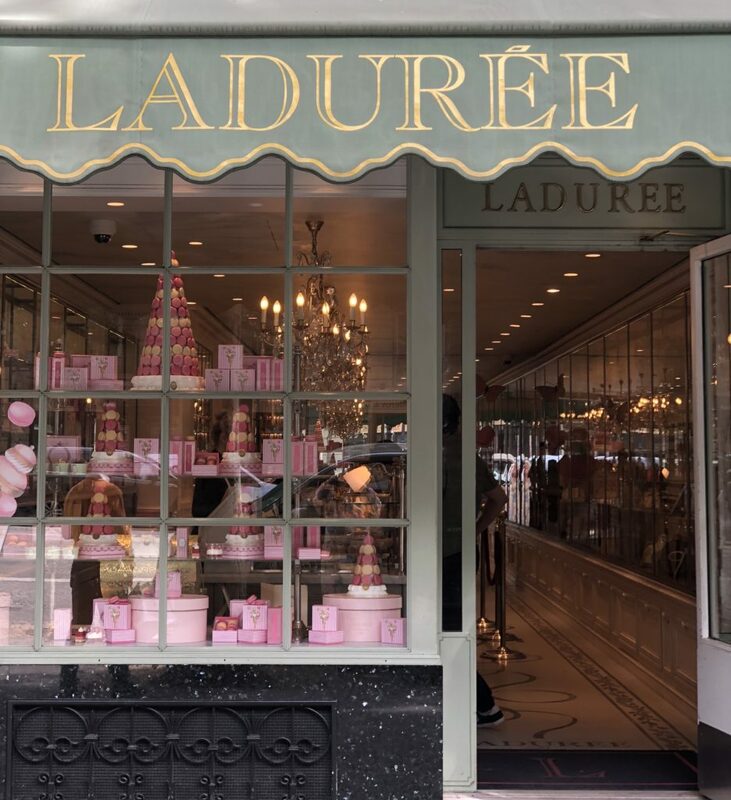 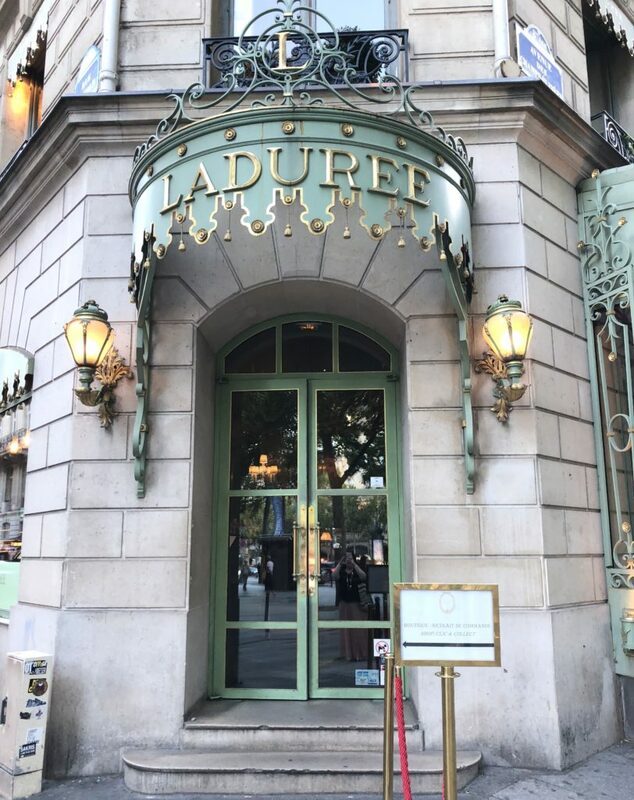 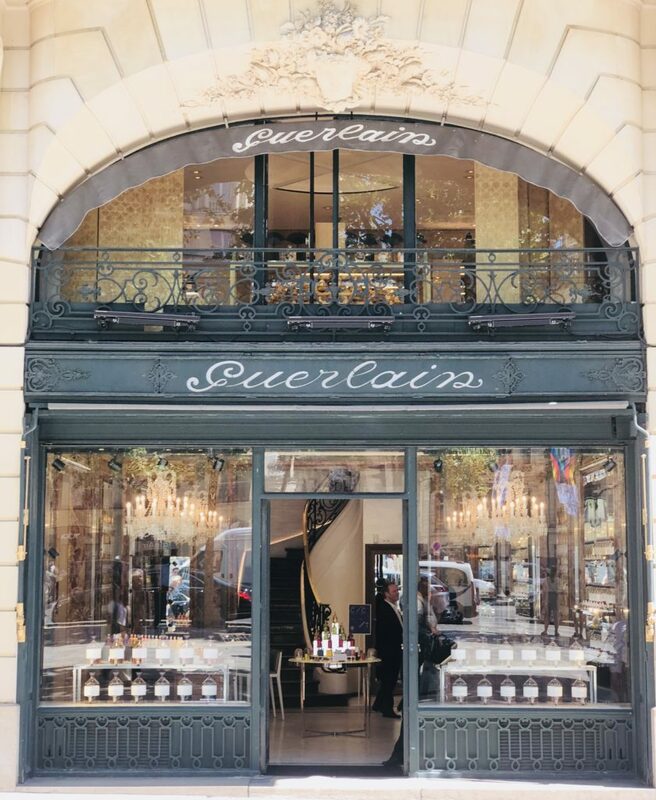 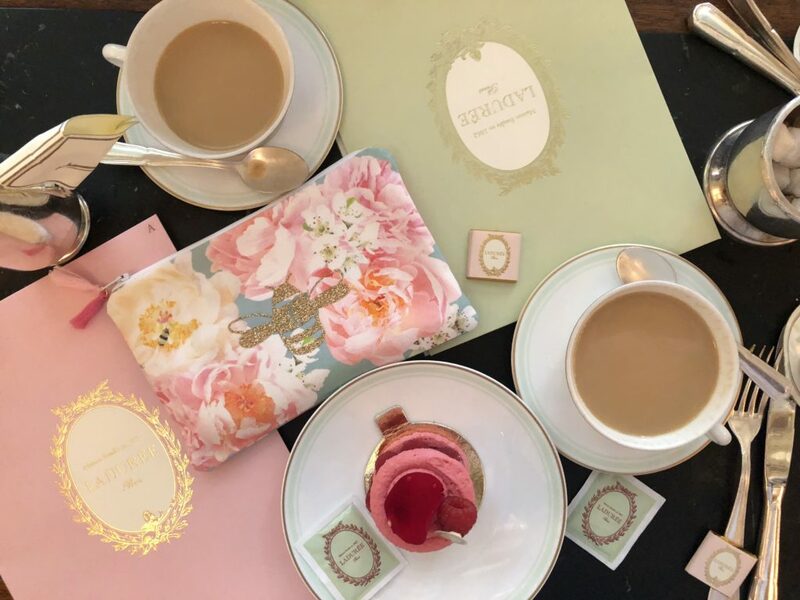 Another huge favourite of mine while in Paris is Ladurée whose pastel decor & beautiful packaging has provided lots of inspiration whilst decorating my own home. 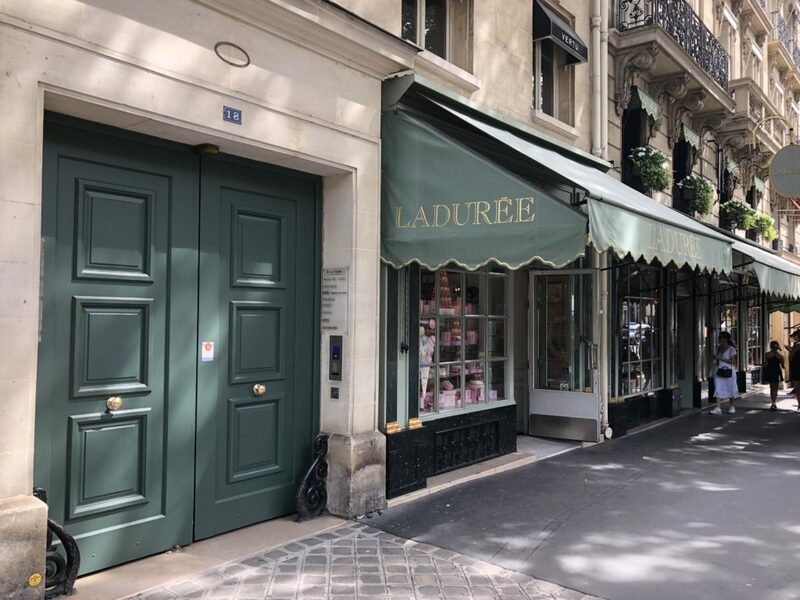 My local paint shop is well used to me arriving with items from Ladurée and asking them to colour match them for me and my blue front door was matched to a blue Ladurée notebook and my kitchen walls to their signature green gift bags. 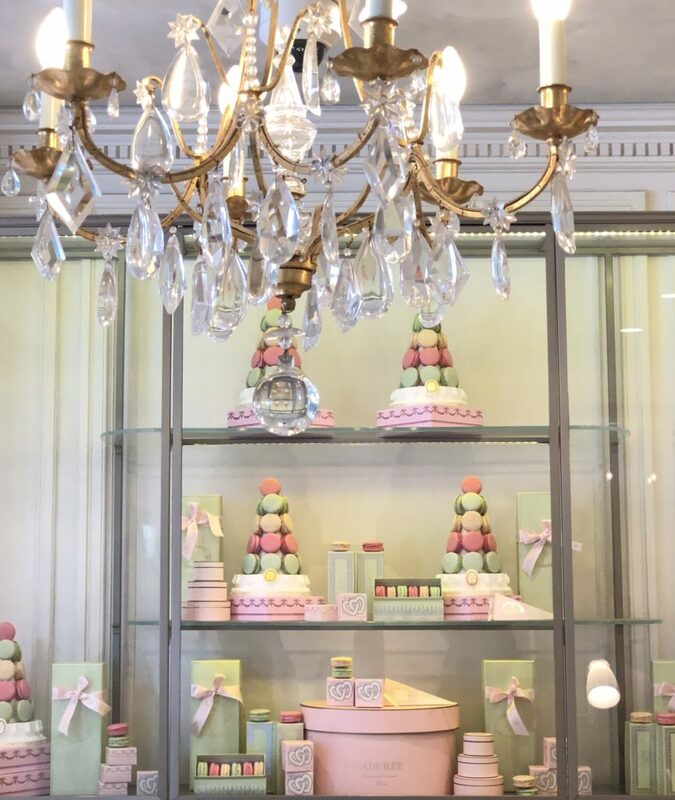 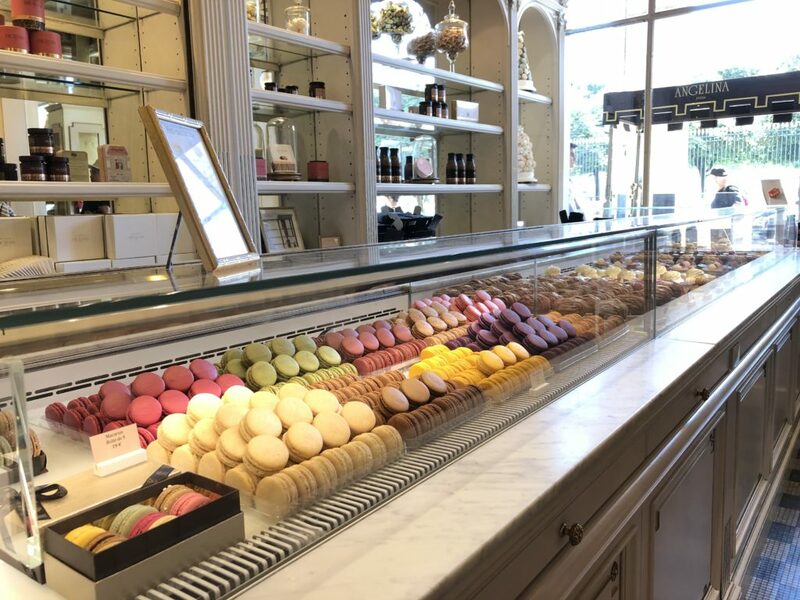 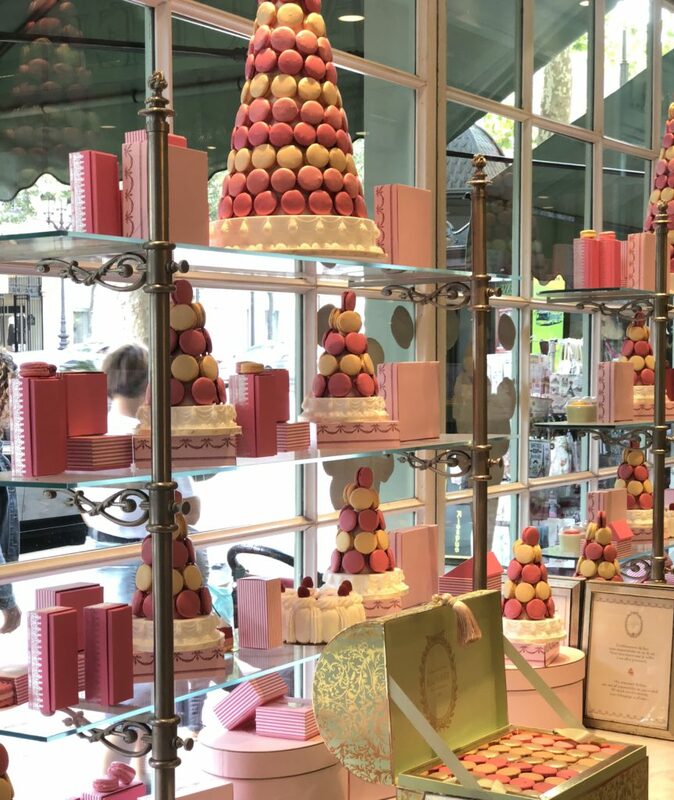 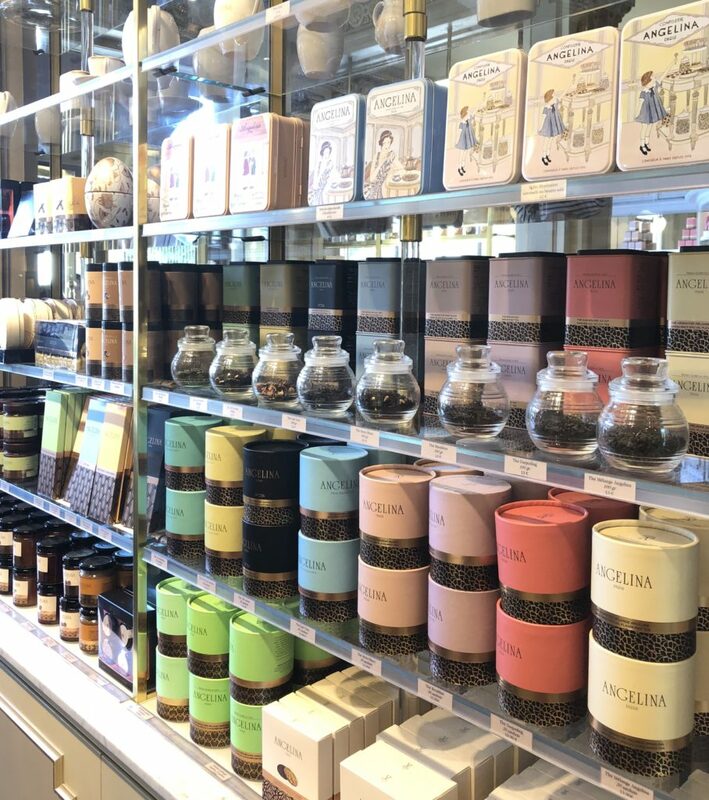 Their gorgeous pastels and sparkling chandeliers make it a winner even before moving onto their yummy macarons and stunningly packaged chocolates and teas. 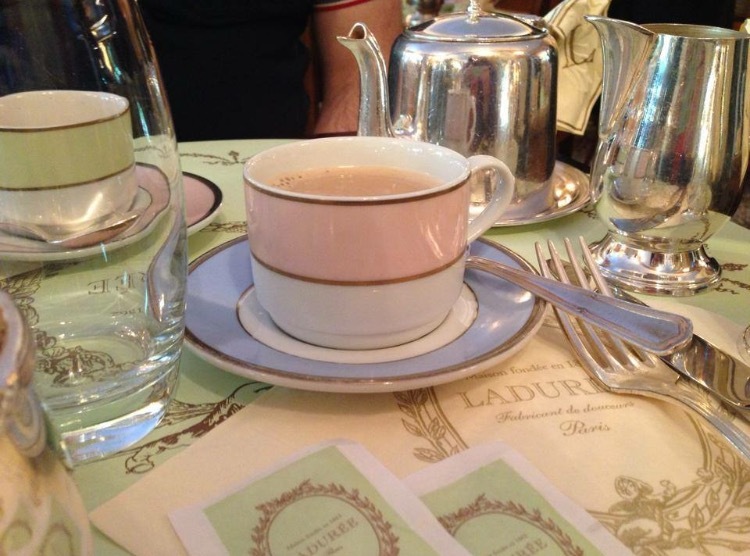 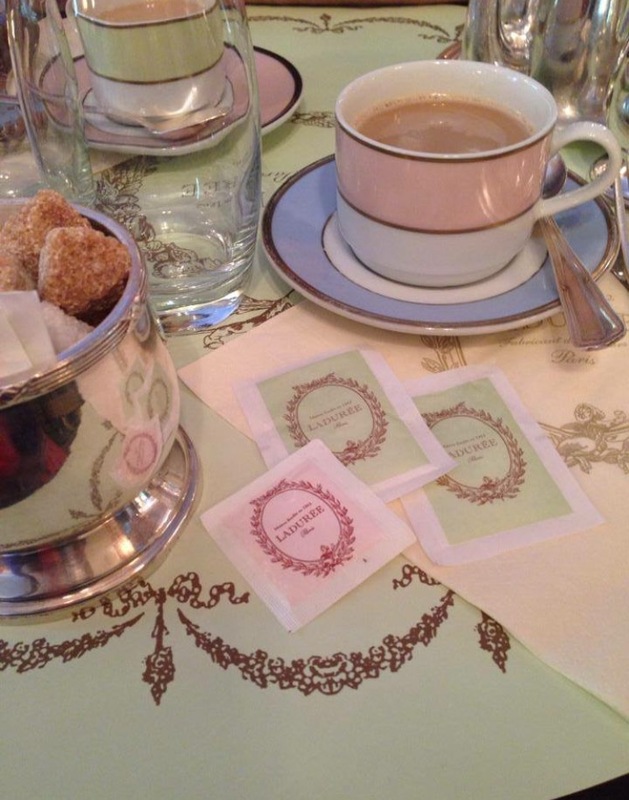 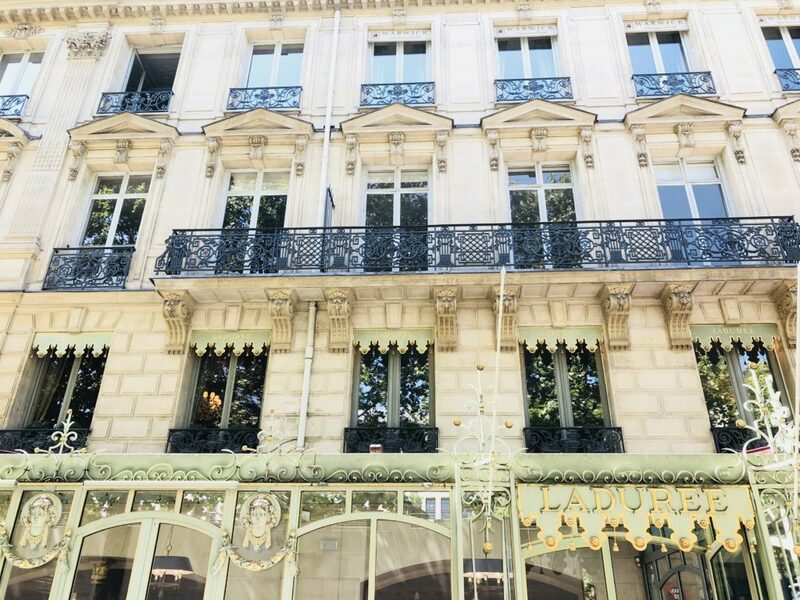 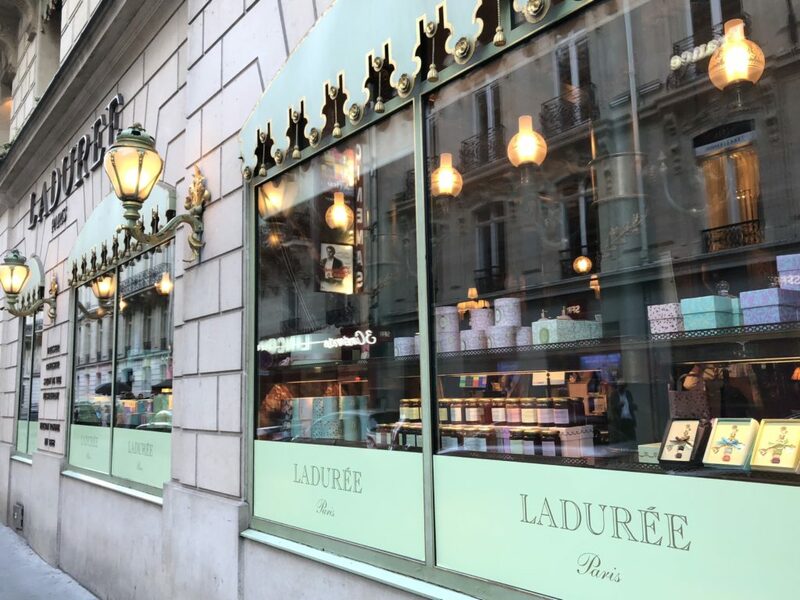 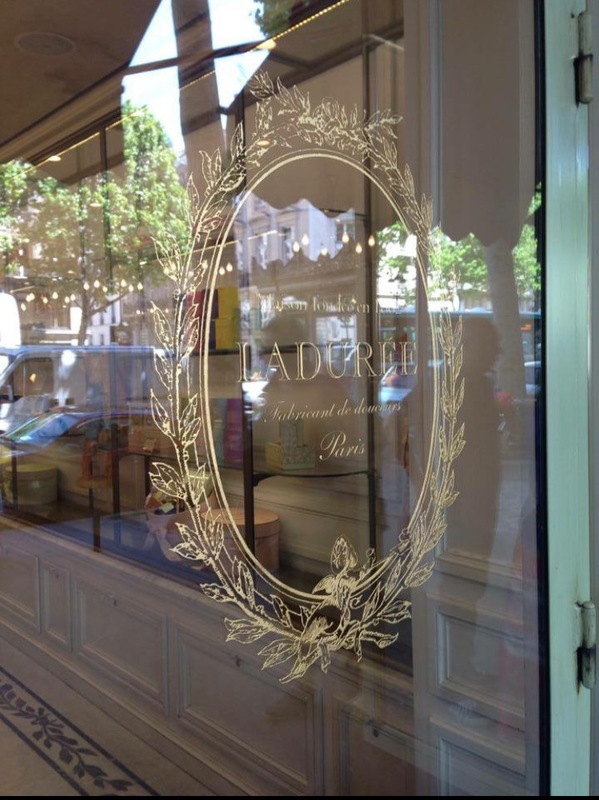 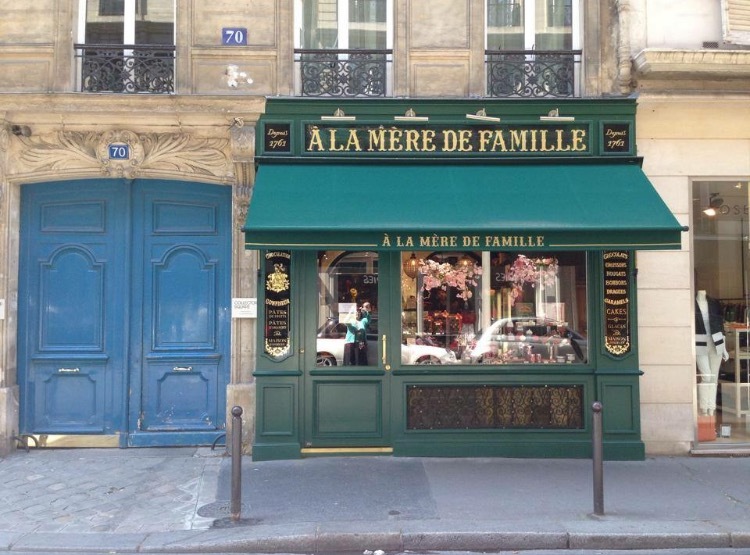 There are quite a few different Ladurée shops in Paris and my favourites are the ones on Rue Bonaparte and Rue Royale. 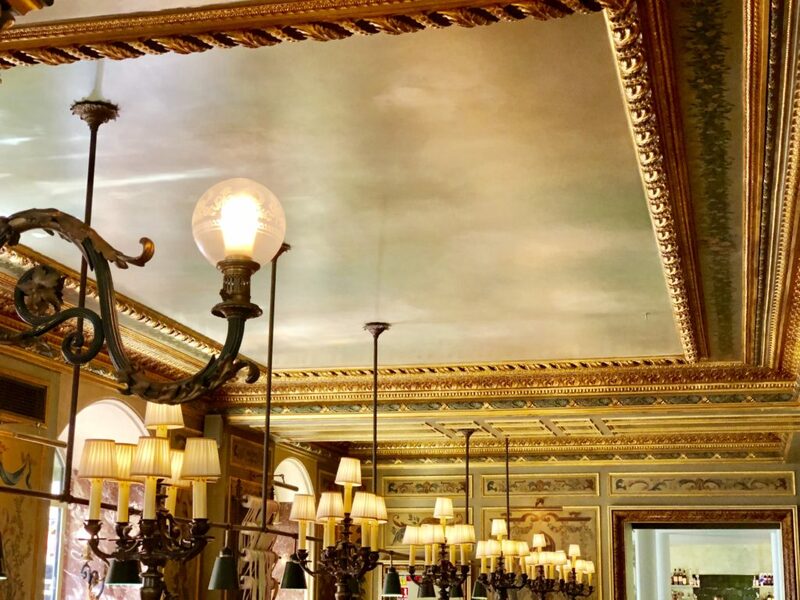 We always head there for lunch at least once and their club sandwiches are delicious! 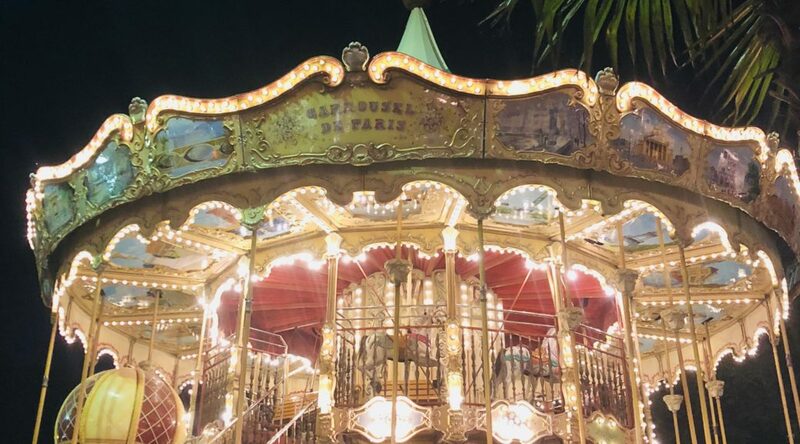 A favourite place to go at night is the Trocadéro which overlooks the Eiffel Tower. 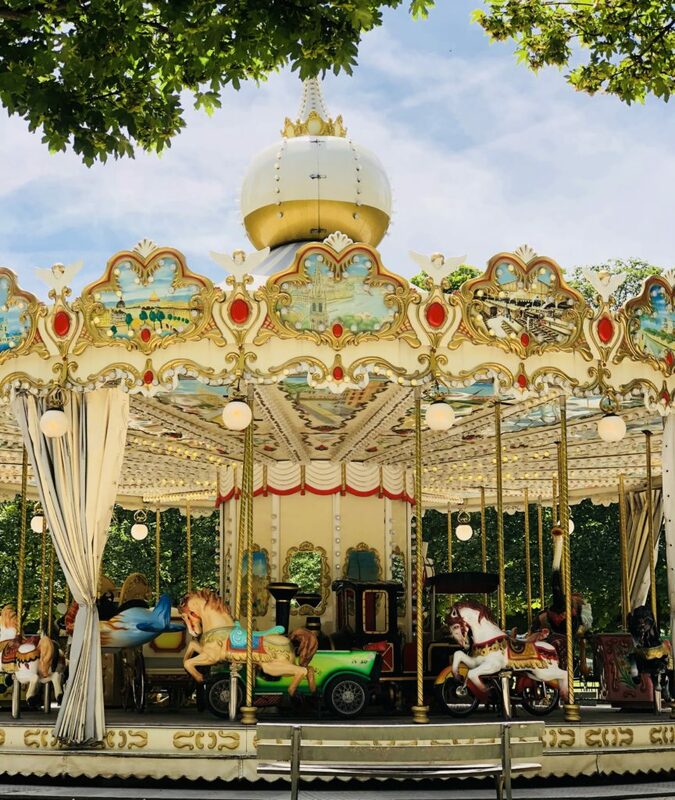 It is composed of several gardens & buildings which were built for the Universal Exhibition in 1937 and the centrepiece of the gardens is the famous Warsaw fountain which has 20 water cannons which are especially beautiful at night when illuminated. 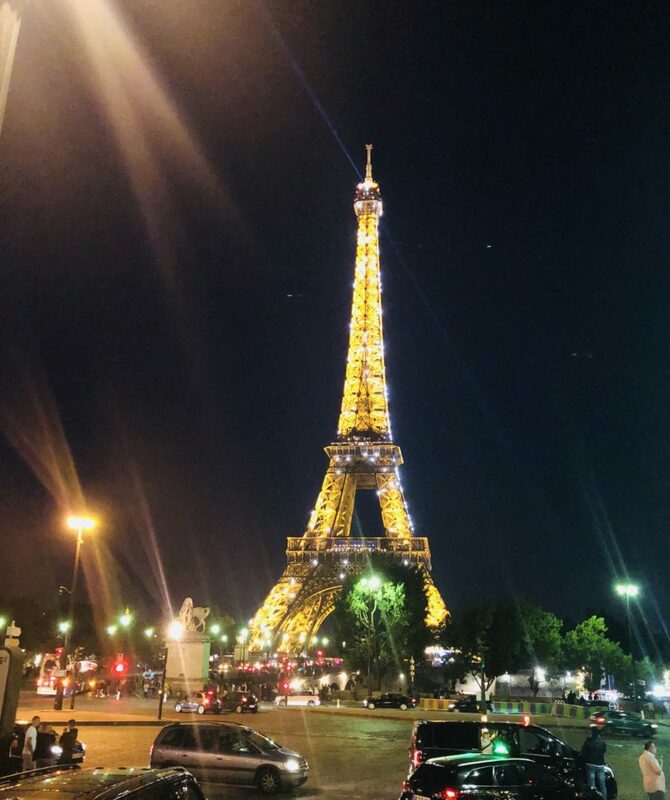 This is the ideal spot to take pics of the Eiffel Tower and it’s always busy at night with tourists waiting to see the Eiffel Tower lit up and twinkling against the night sky. 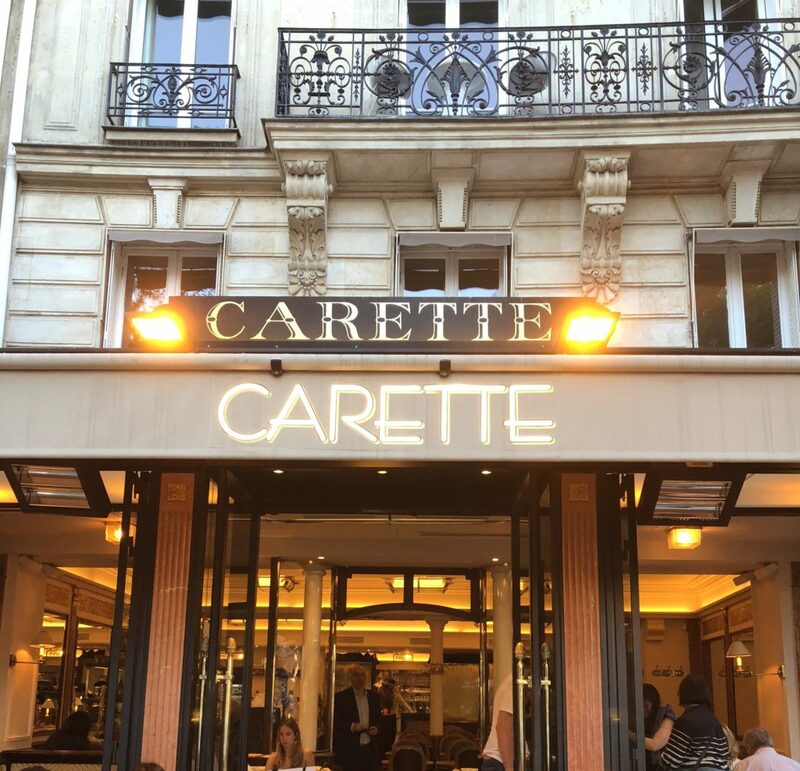 The famous Parisian tearoom Carette is in this area and it serves the most delicious crepes which is where as I would advise you to go for these rather than from the vendors selling them on the street as I suffered the most horrendous food poisoning years ago after sampling those ones! 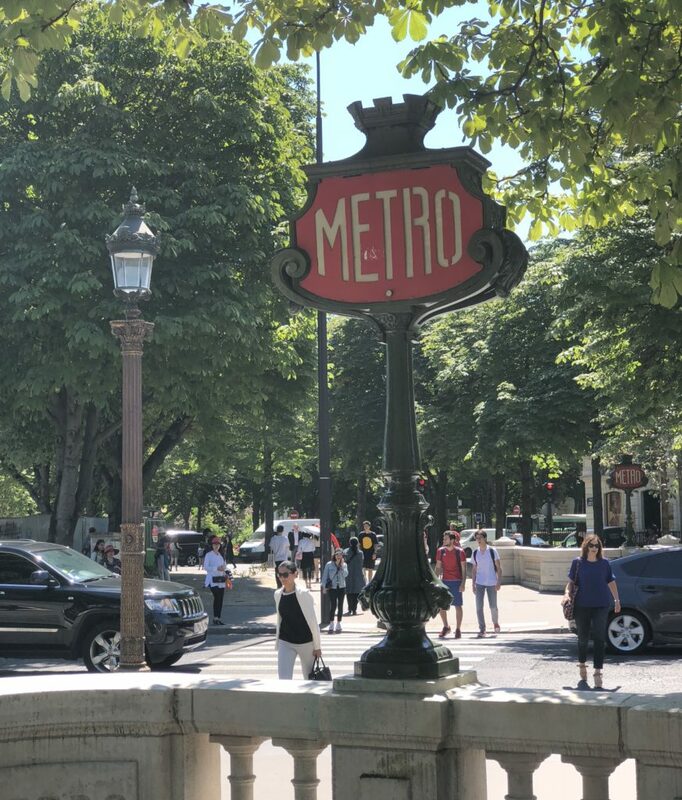 This area always has a real buzz about it at night and there’s a handy metro station at the Trocadero to take you back to your hotel. 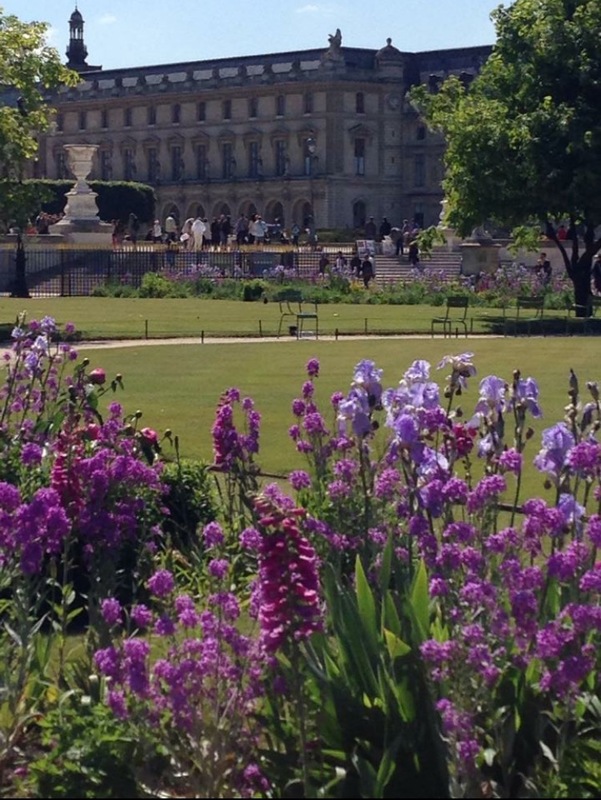 Paris has so many beautiful gardens and I love them all but I think perhaps my favourite is the Jardin du Luxembourg. 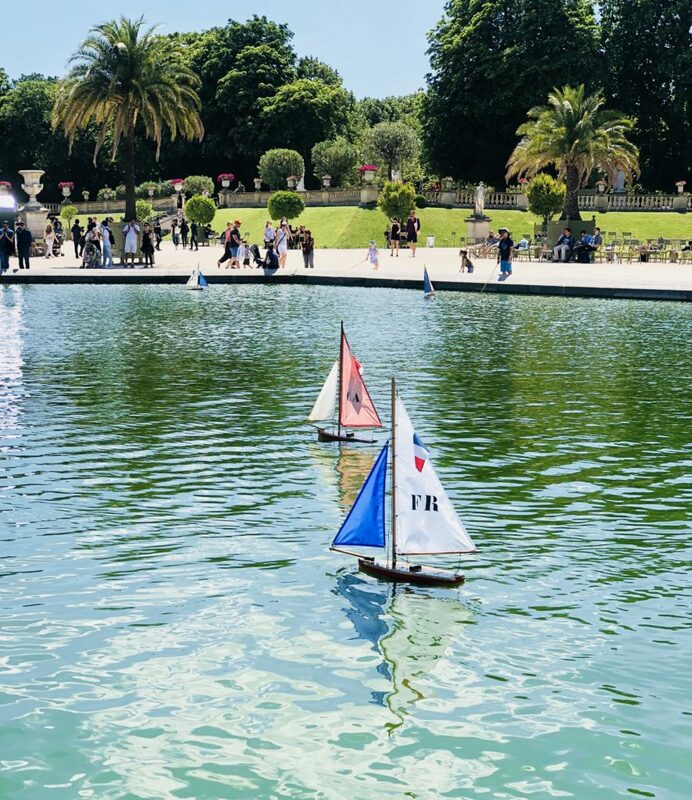 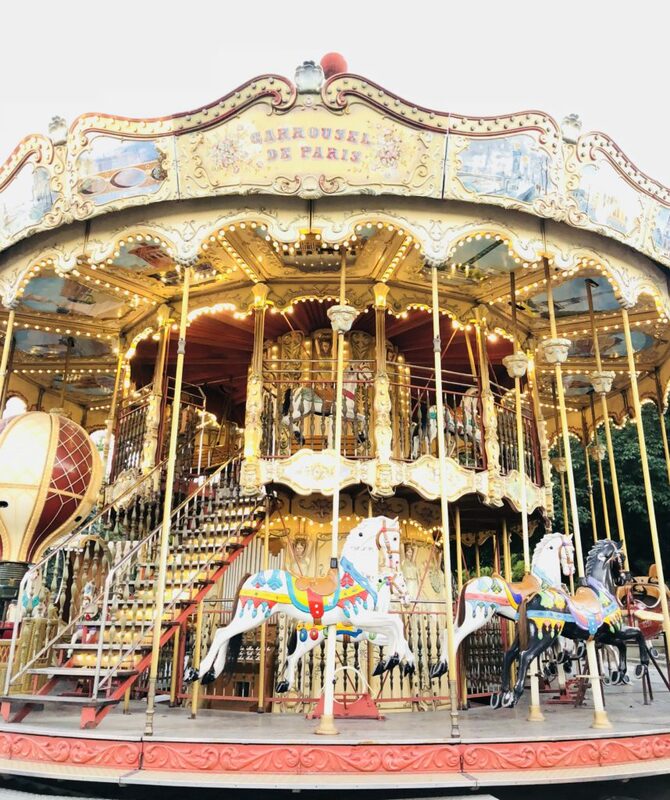 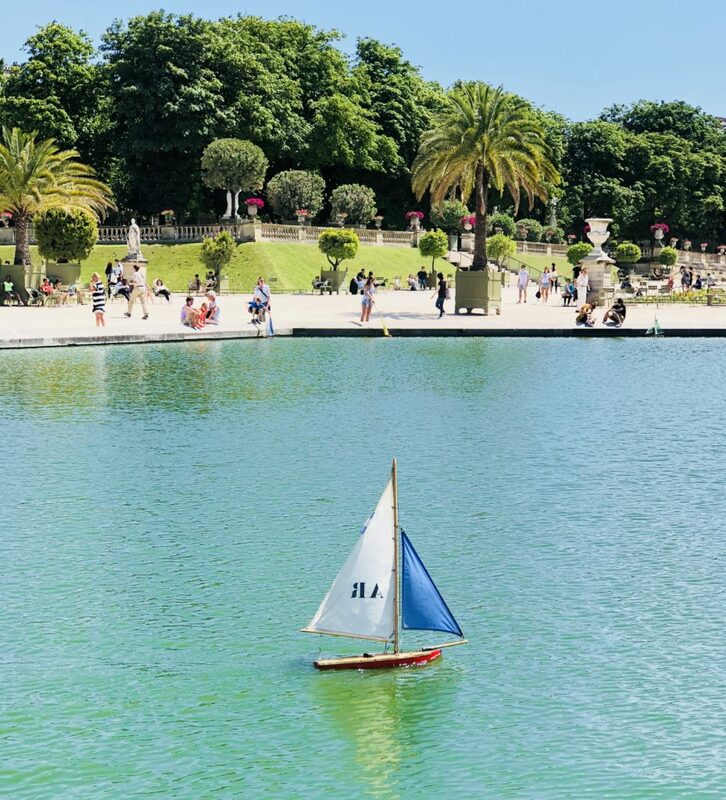 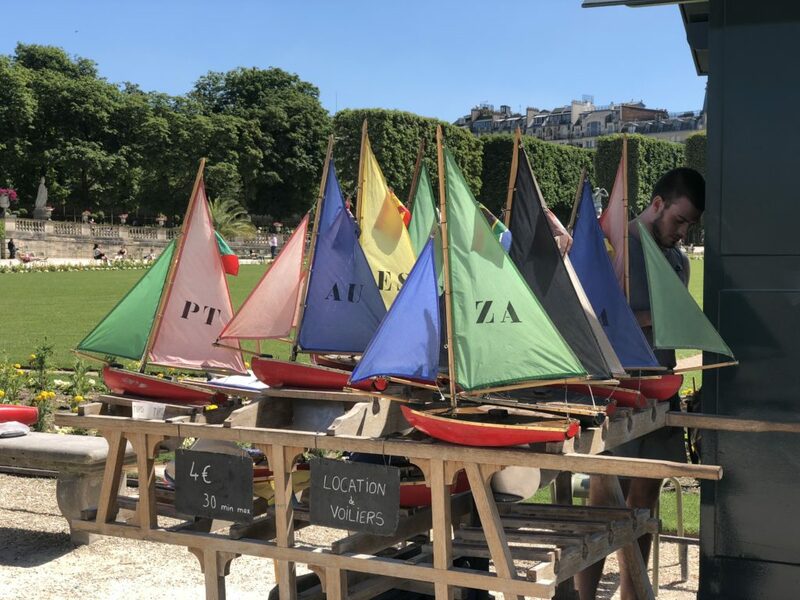 Napoleon dedicated the 23 hectares of the Luxembourg Gardens to the children of Paris and many Parisians spent their childhoods sailing the wooden boats in the Grand Basin pond, watching puppet shows and riding the carousel here. 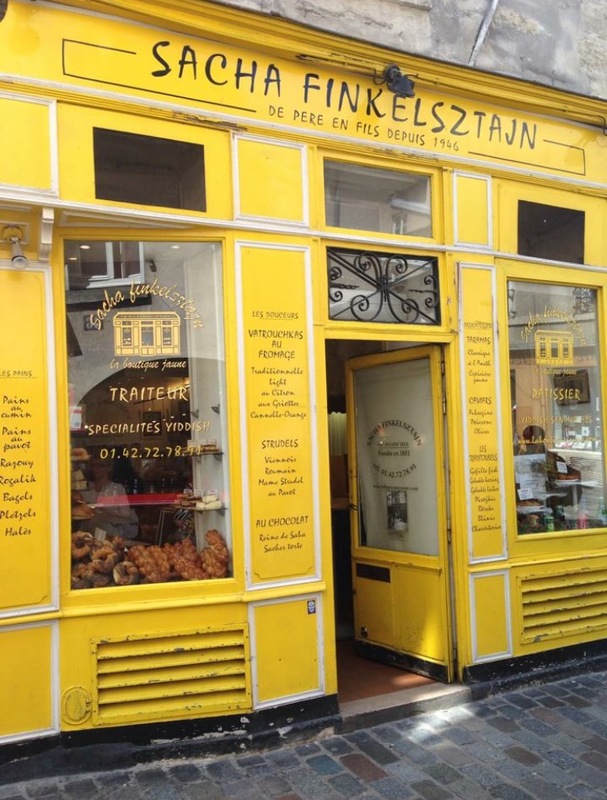 Dozens of apple varieties are grown in the orchards and bees have produced honey in the nearby Rucher du Luxembourg since the 19th century. 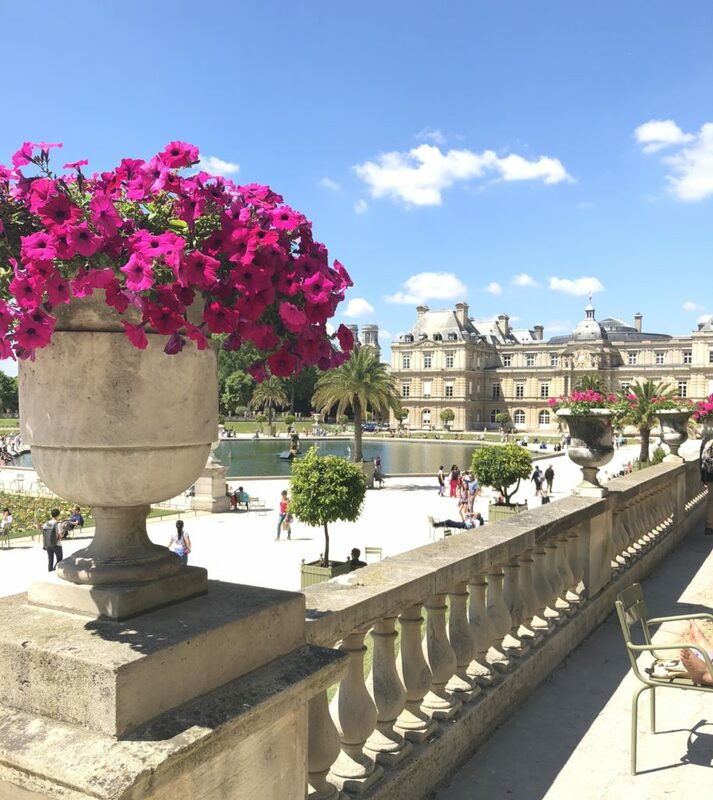 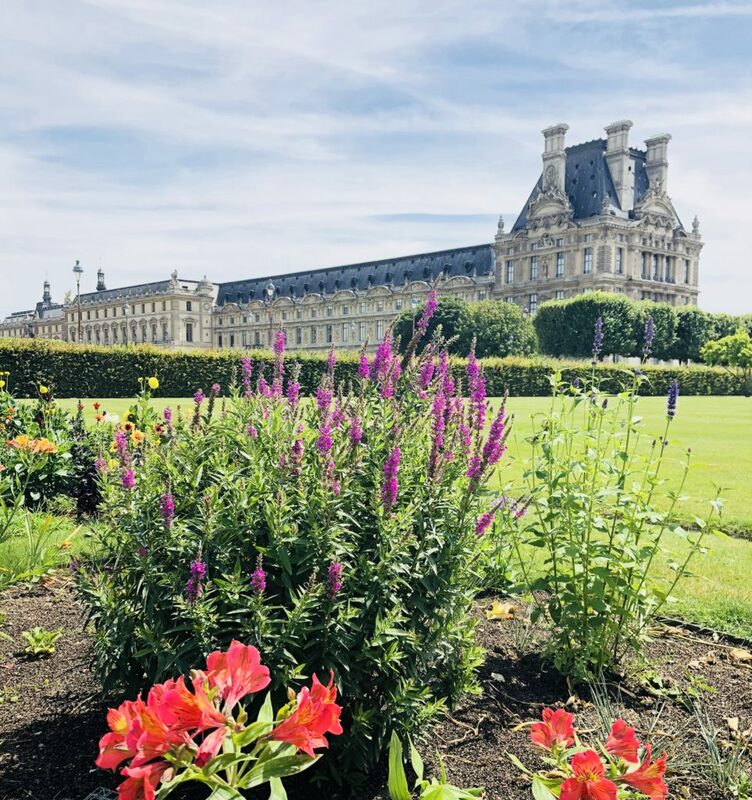 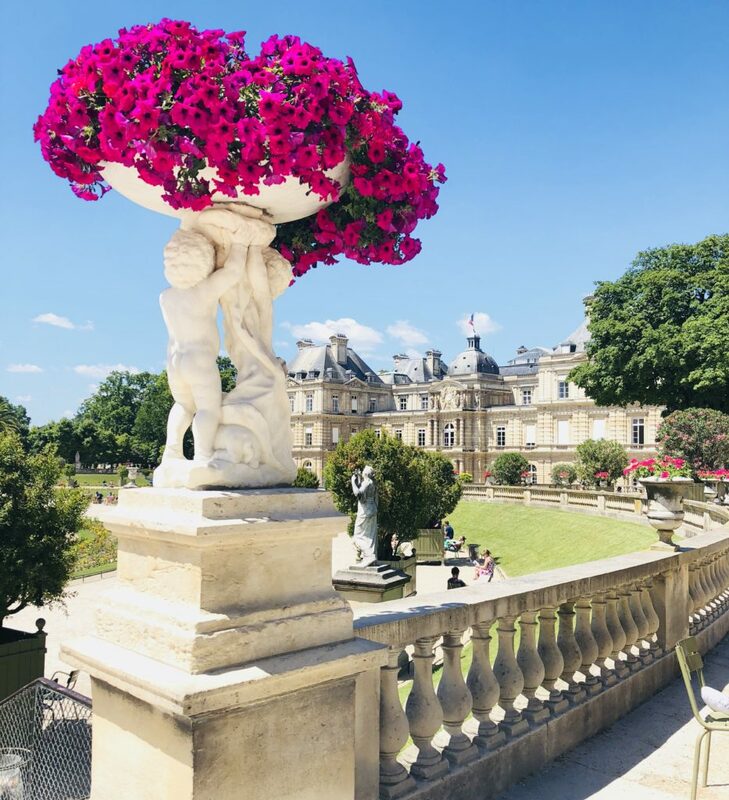 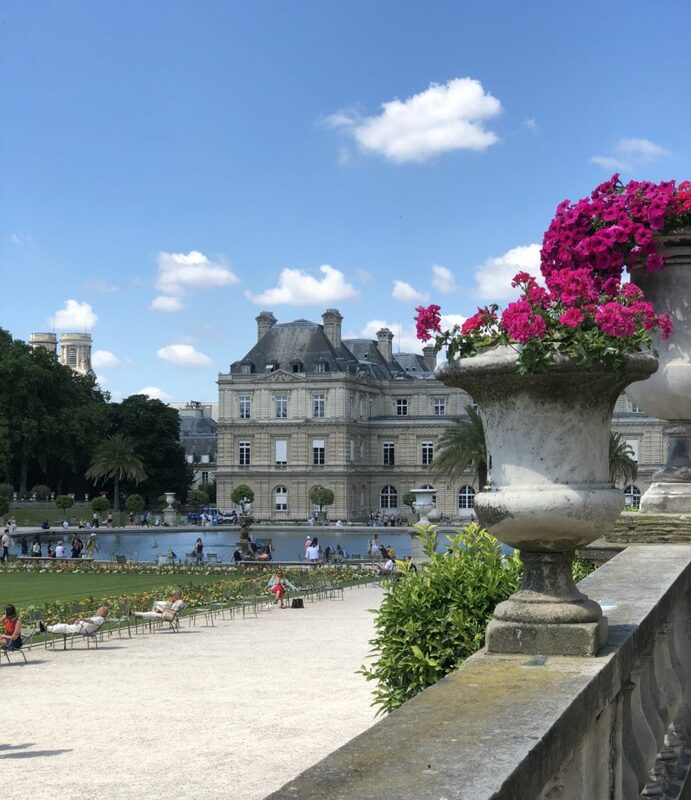 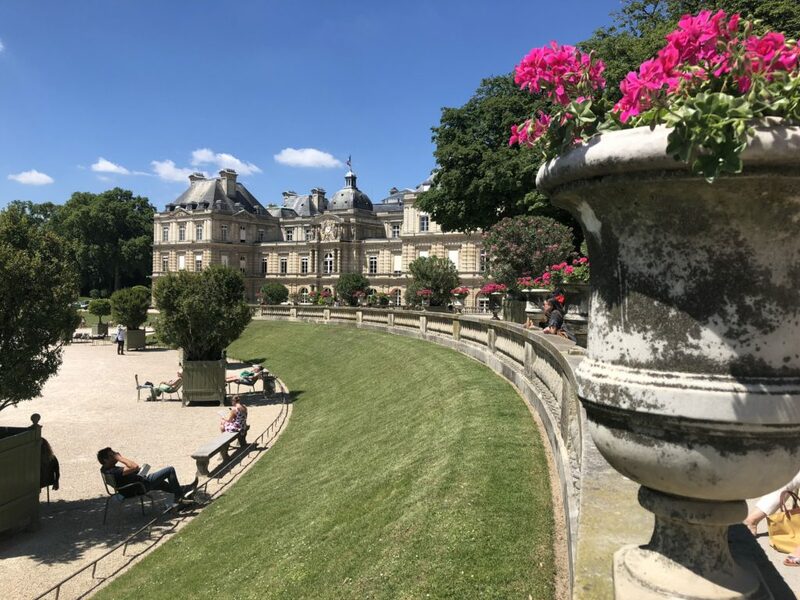 The gardens are the backdrop to the Palais du Luxembourg which was built in the 1620s for Marie de Médici. 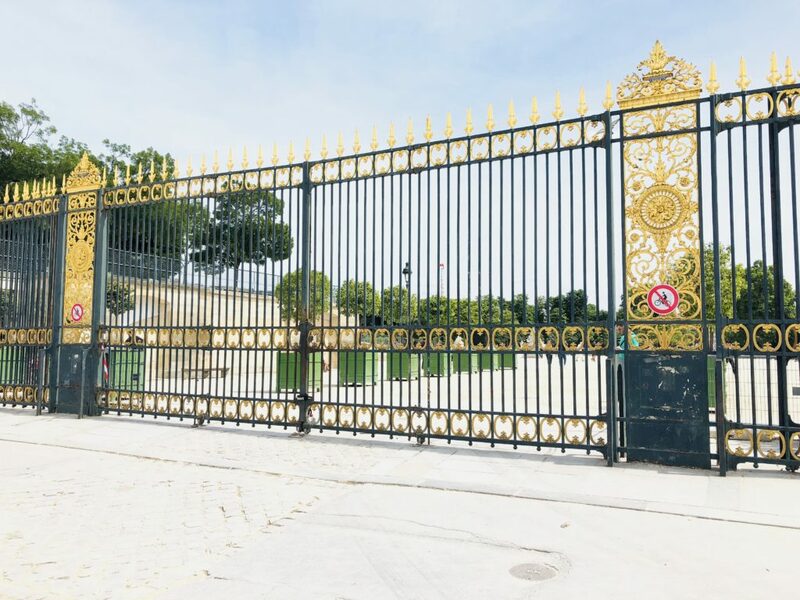 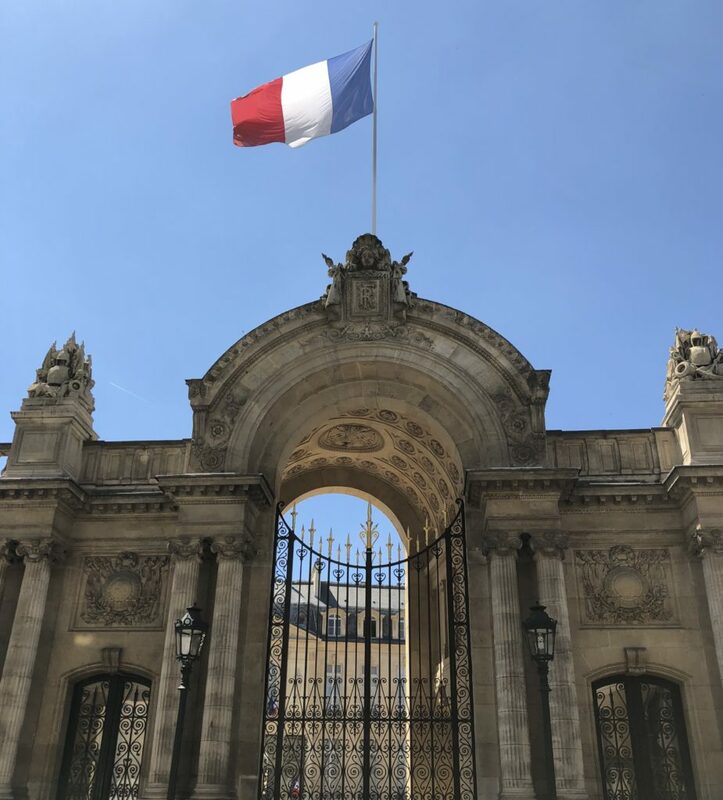 The Palace has housed the Sénat, the Upper House of French Parliament, since 1958. 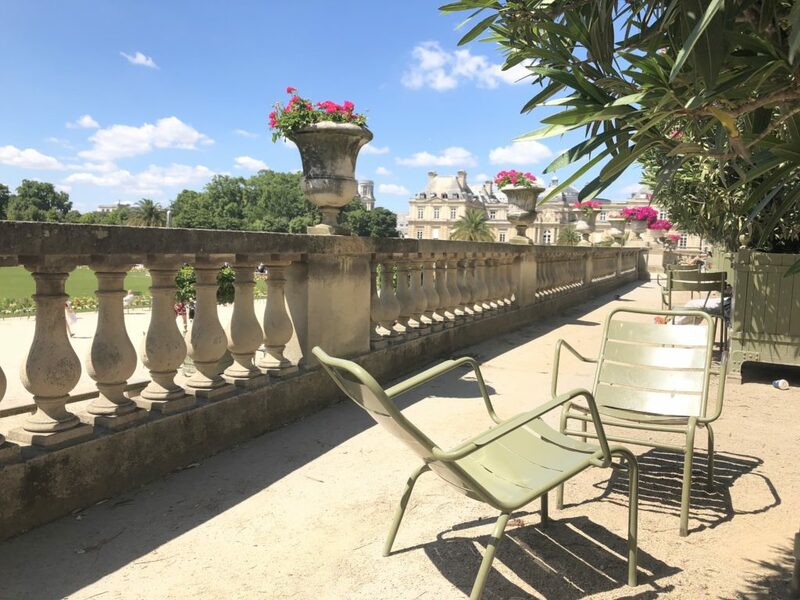 The beautifully manicured lawns are off limits apart from a small area on the southern boundary but there are plenty of the iconic 1923-designed green metal chairs to sit in your favourite area of this stunning park and soak in the atmosphere. 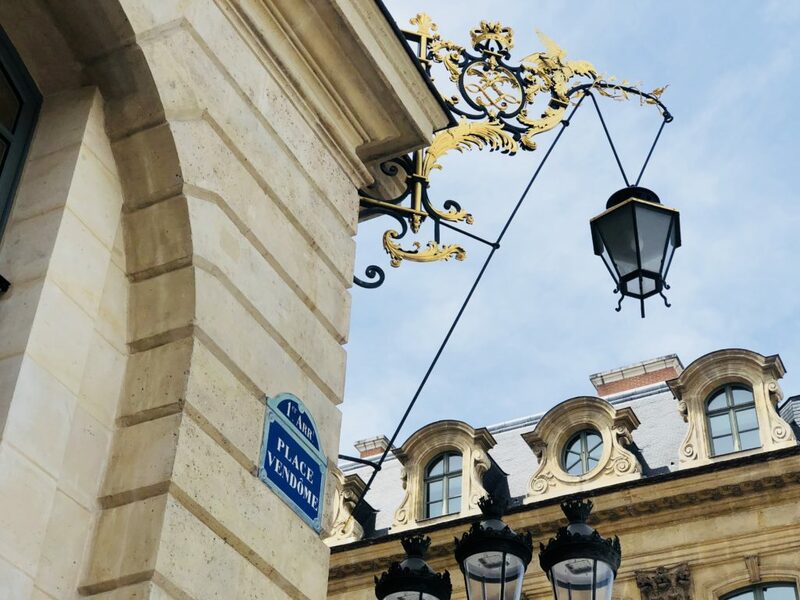 Paris is a city bursting with fabulous photo opportunities and I have to say my husband has the patience of a saint waiting on me till I get the pic that I want. 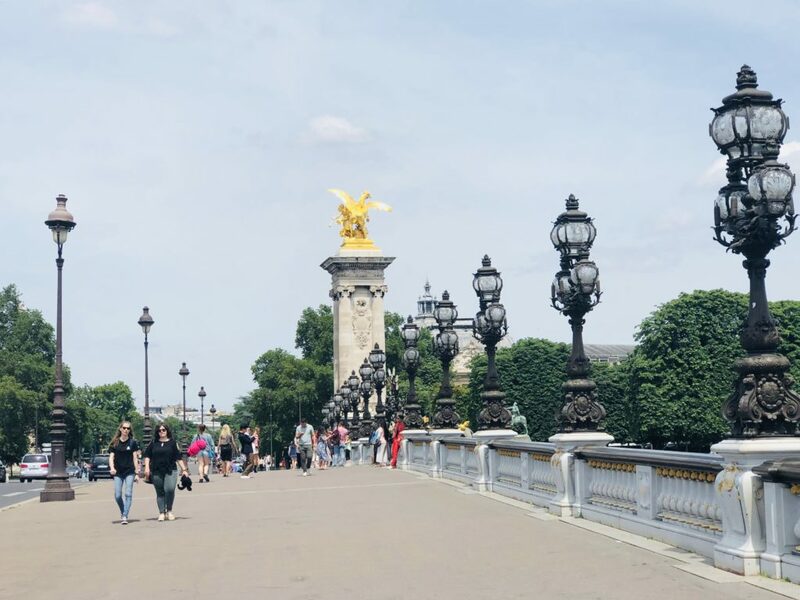 This usually involves standing in the same spot and waiting until there’s no one standing in my shot and you usually have a split second to snap the pic as it’s such a busy city. 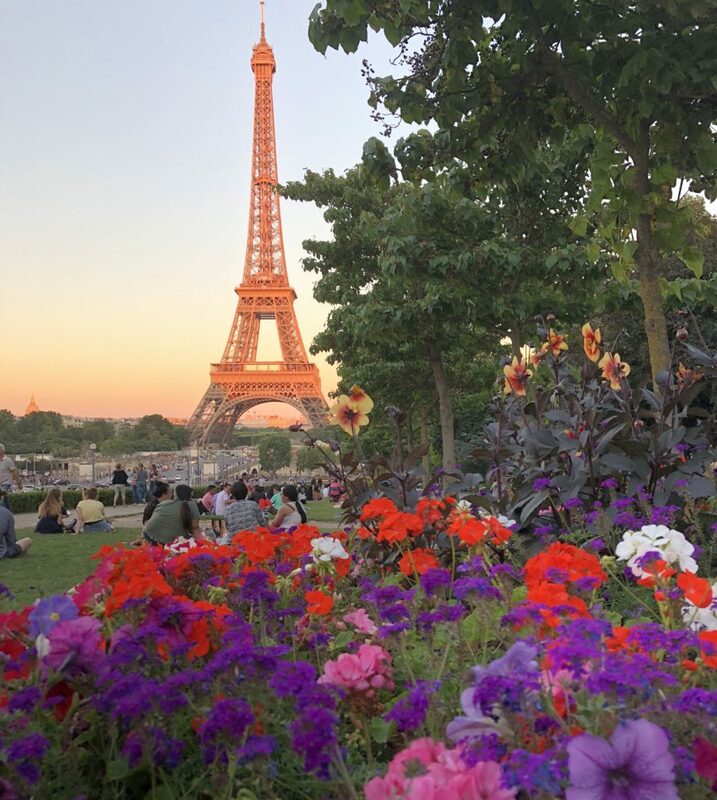 Someone asked me how I managed to get so many pics of Paris without lots of people in them and my answer was lots of patience and waiting for the perfect moment. 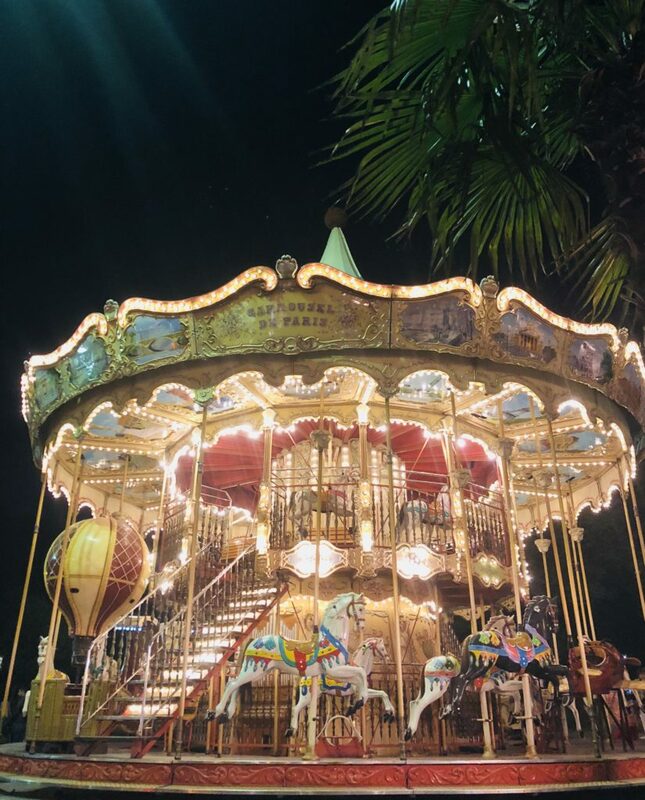 It’s either that or get up at sunrise and I love my sleep too much to do that! 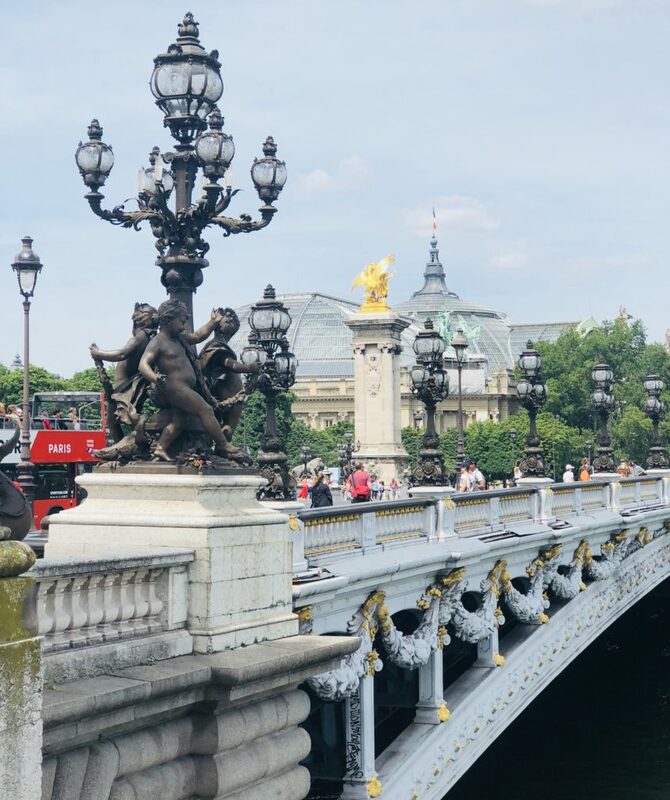 Pont Alexandre 111 is a deck arch bridge which connects the Champs Élysées quarter with those of the Invalides and Eiffel Tower. 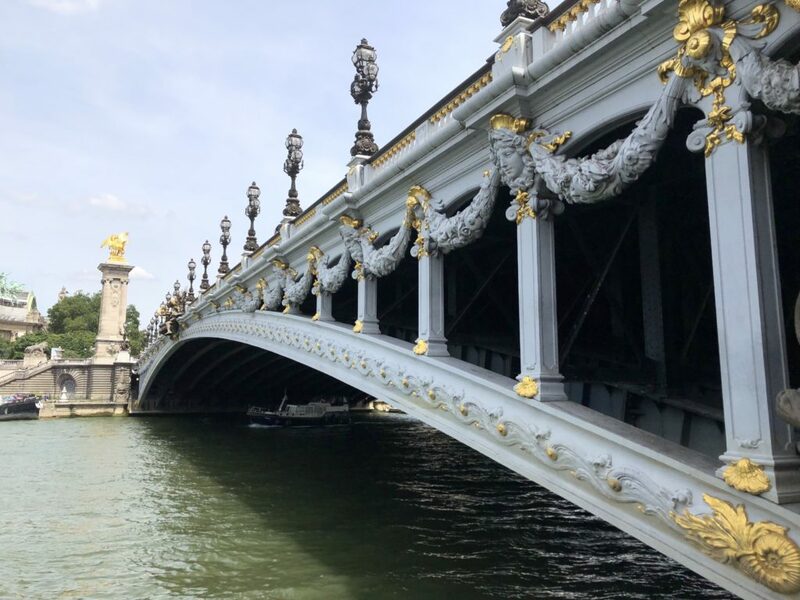 It’s a beautifully ornate bridge which is named after Alexandre 111 – the Russian Tsar responsible for signing the Franco-Russian Alliance in 1892 and its beautiful details and historical significance make it one of my favourite parts of the city. 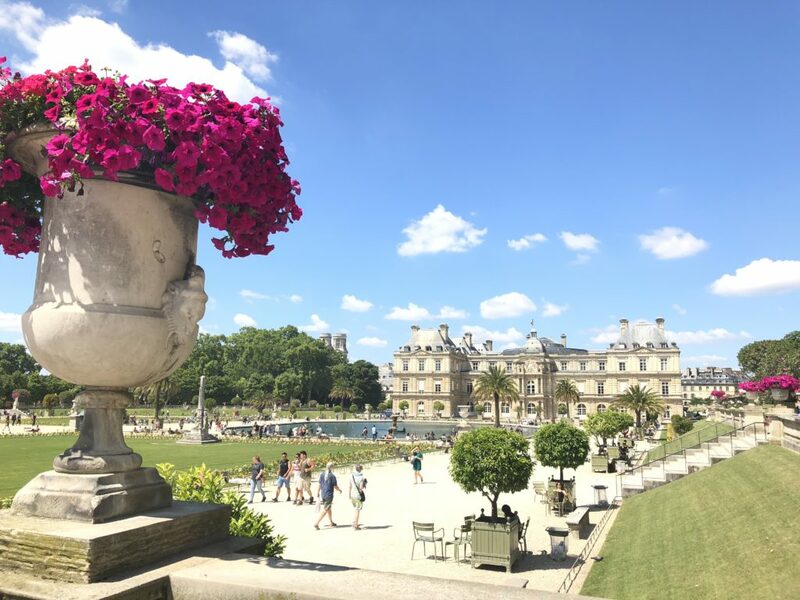 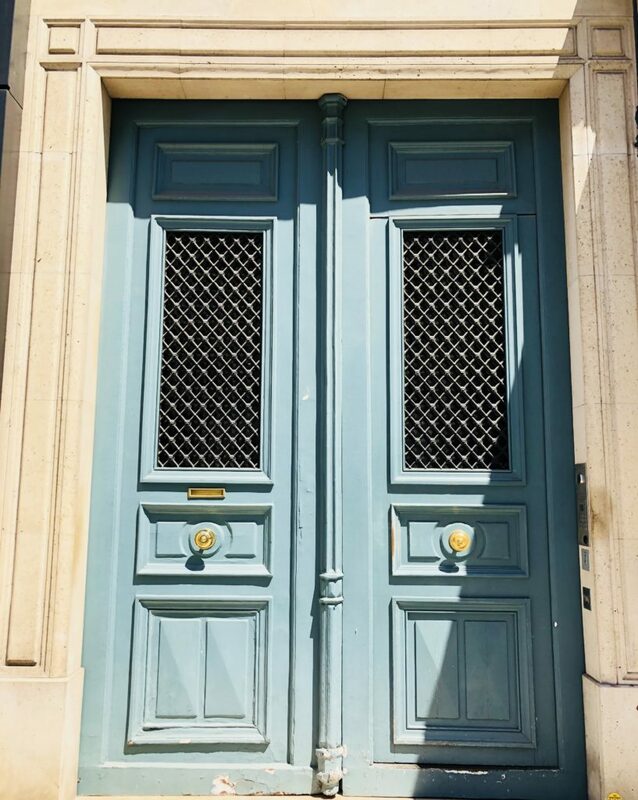 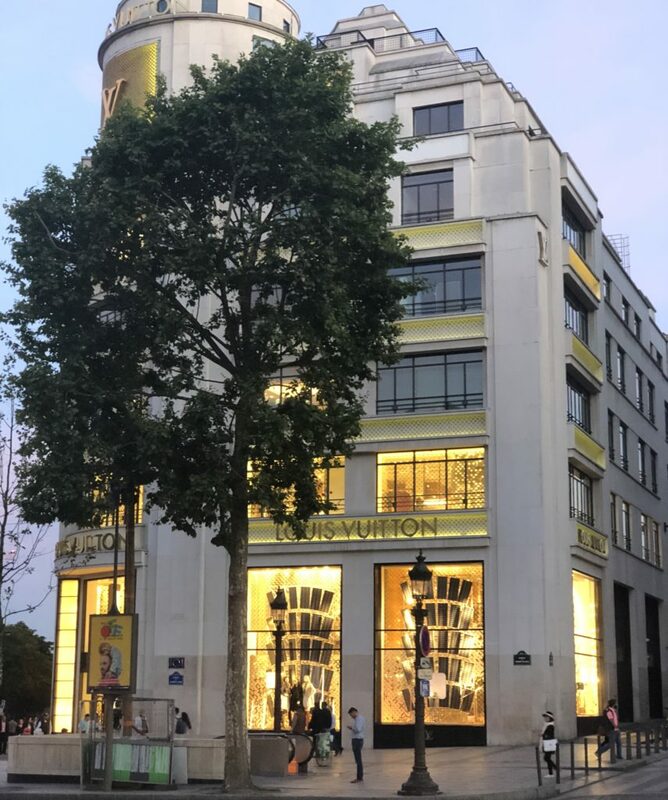 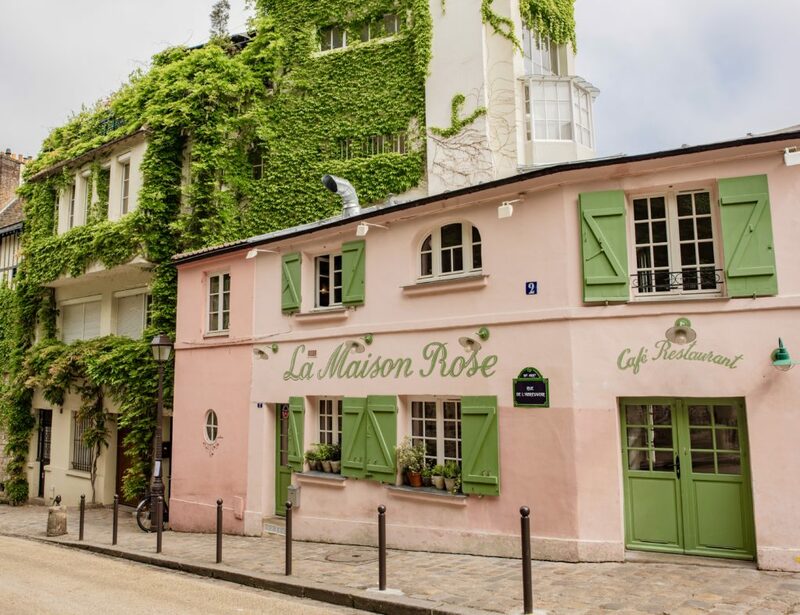 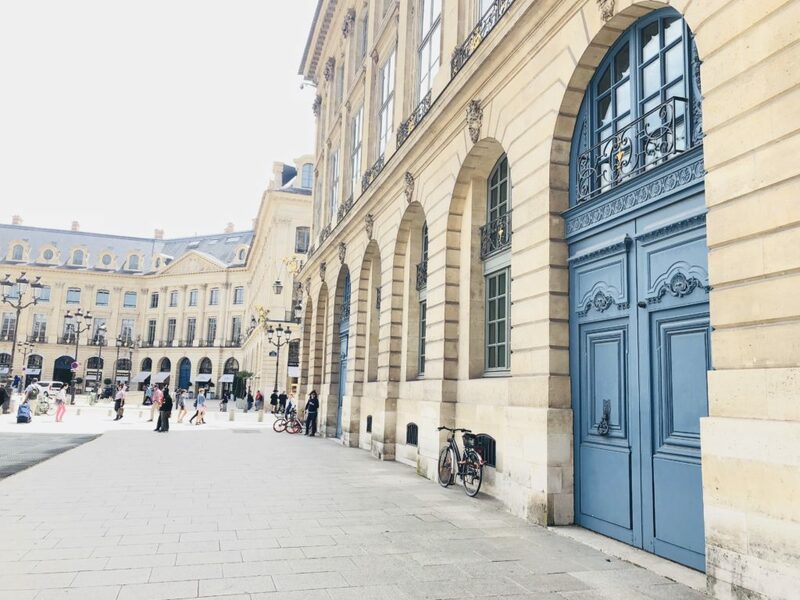 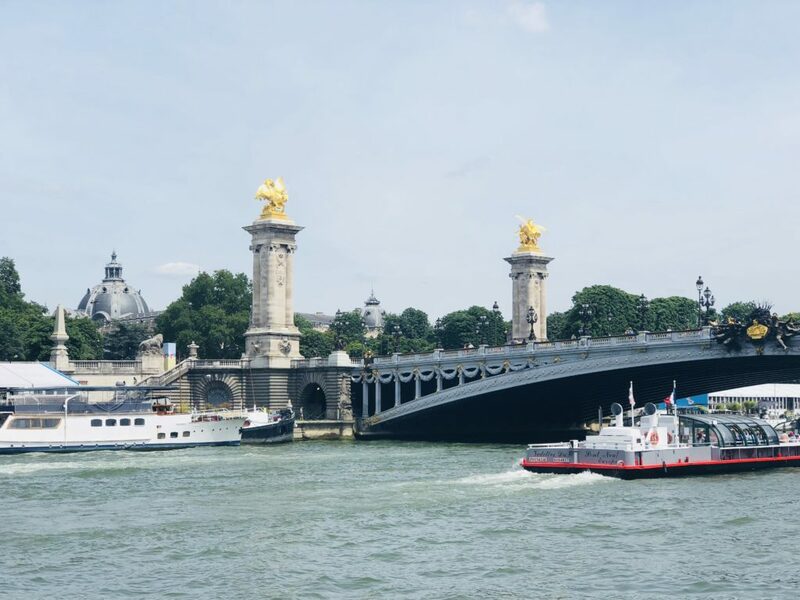 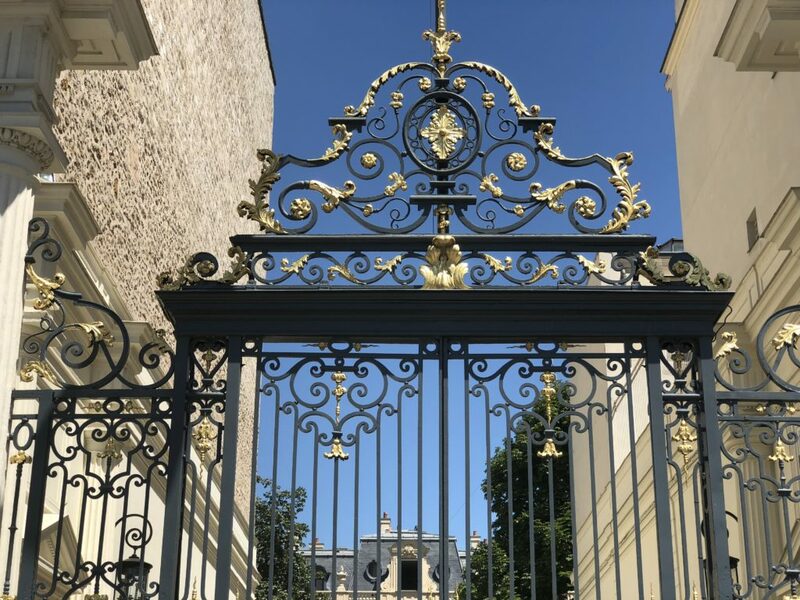 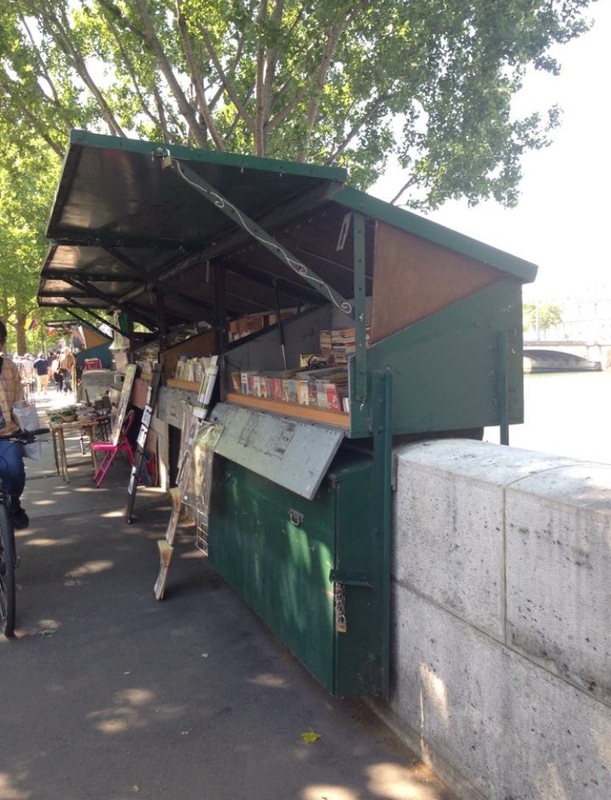 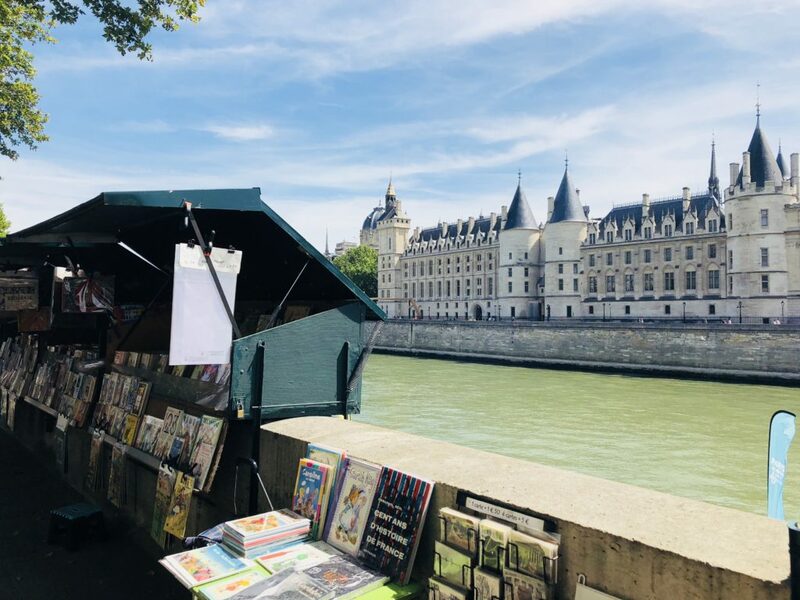 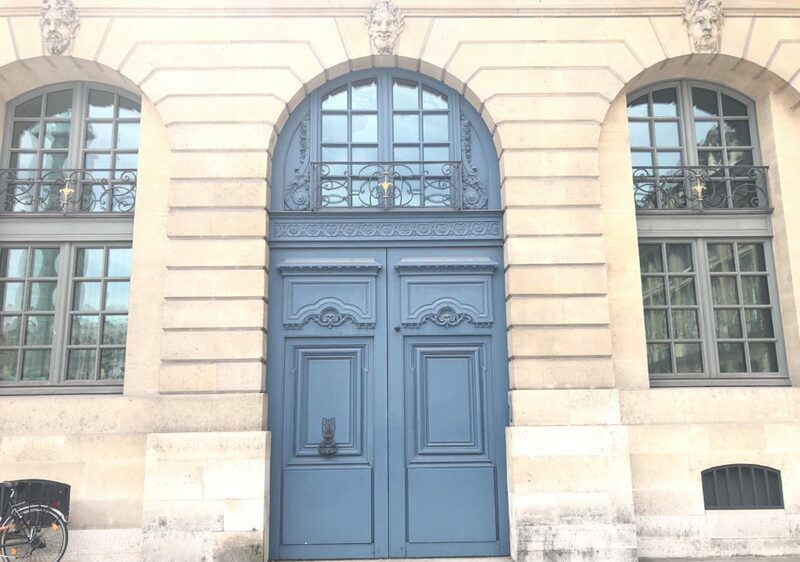 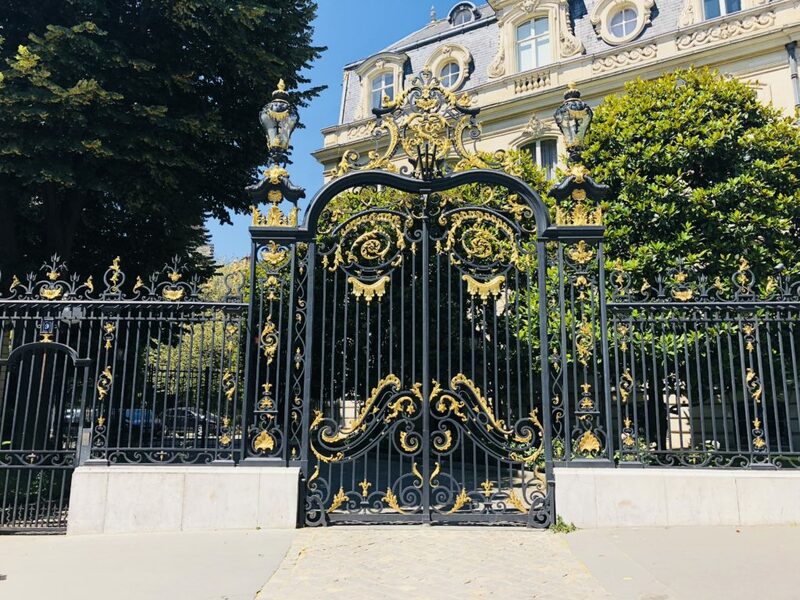 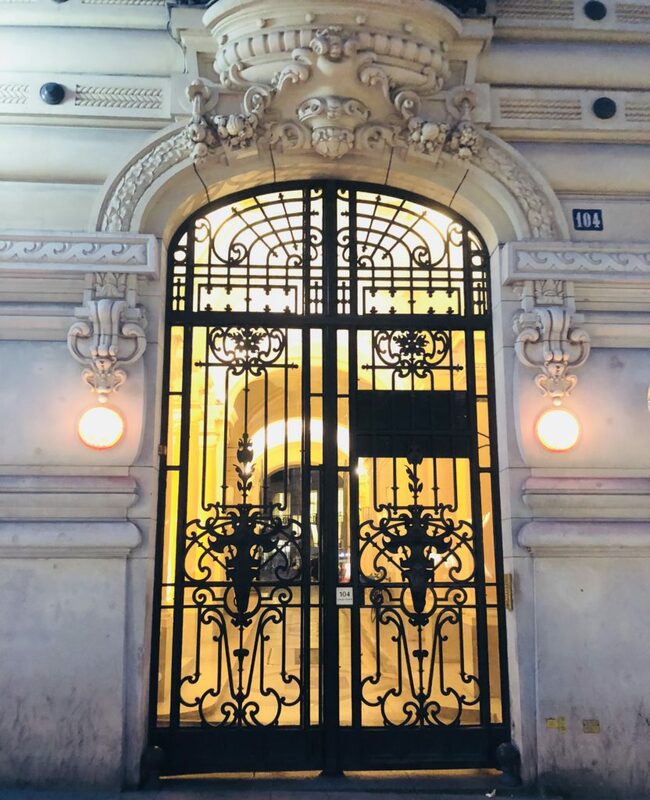 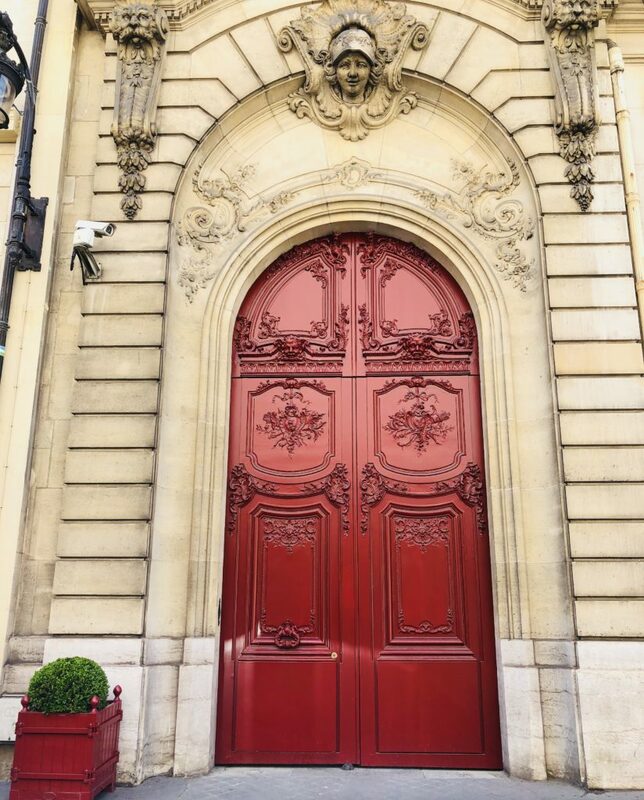 If you’re planning a visit to Paris read my previous blog here as it covers a few different things such as my favourite museum, the Marais district and best way to see all the main attractions by boat. 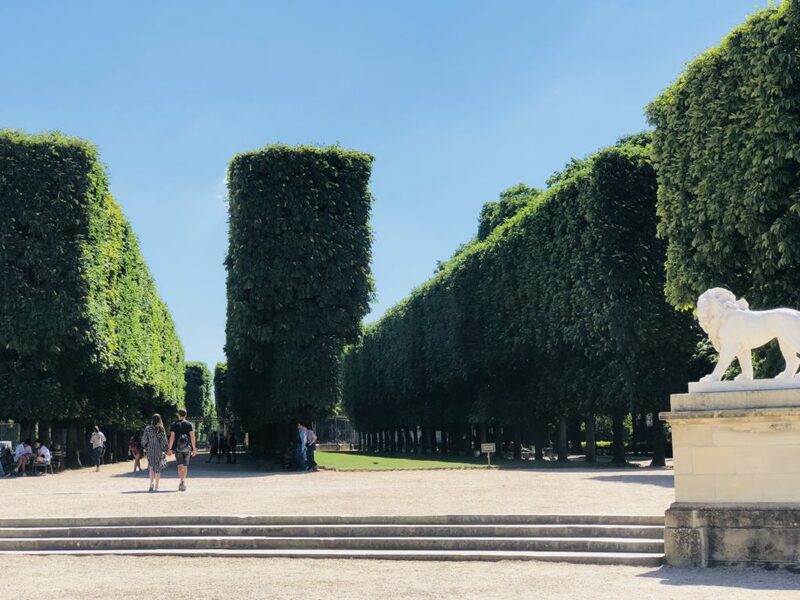 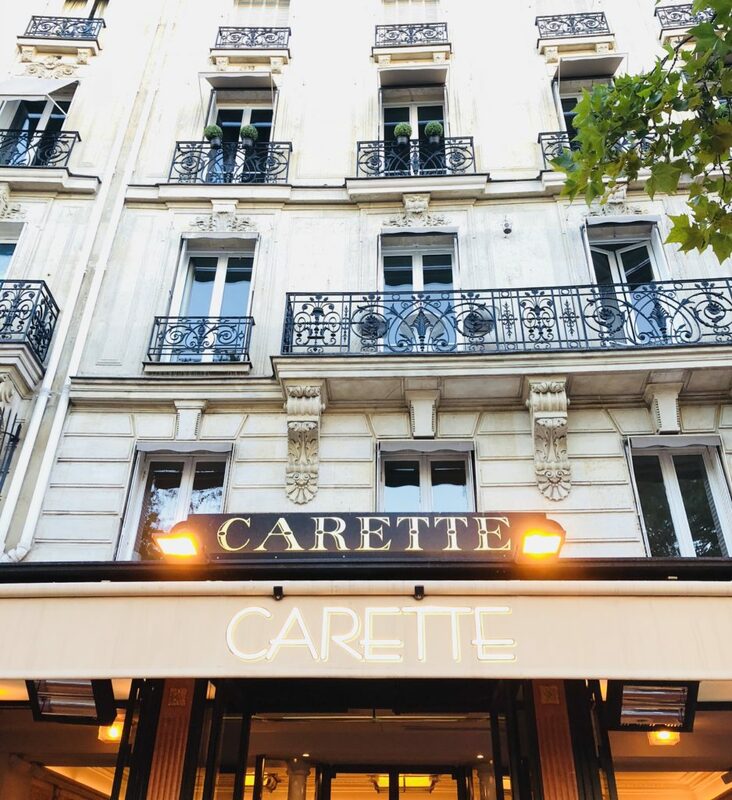 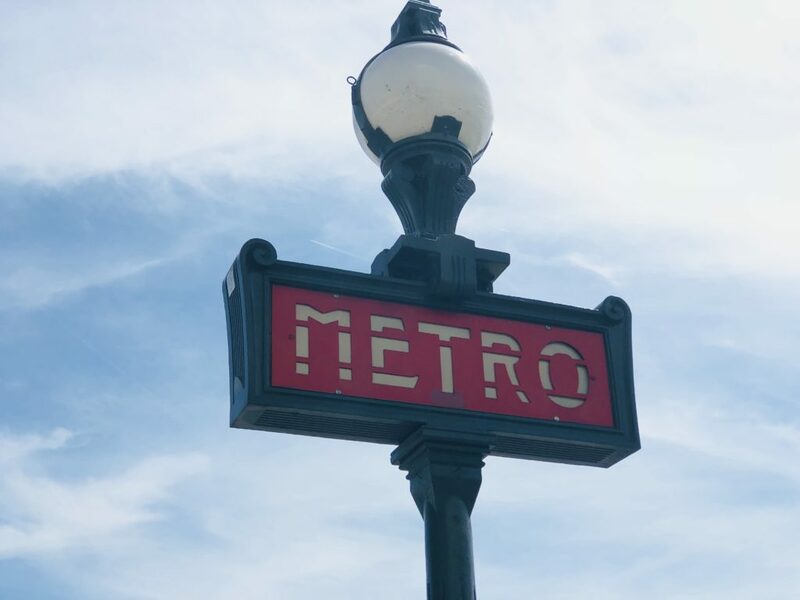 I would advise anyone planning a visit to Paris to do some research before you go and make a list of which parts of the city you really want to see and I usually write out a little itinerary of what I want to do each day. 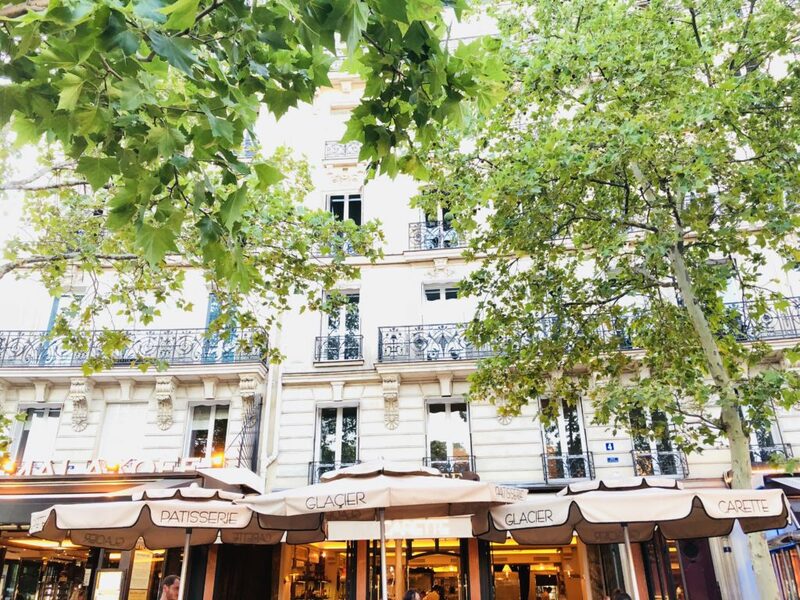 You do have to be realistic and give yourself time to just enjoy the city as you can end up rushing from one place to another so definitely prioritise where you want to go and make sure to stop for coffee & pastries along the way! 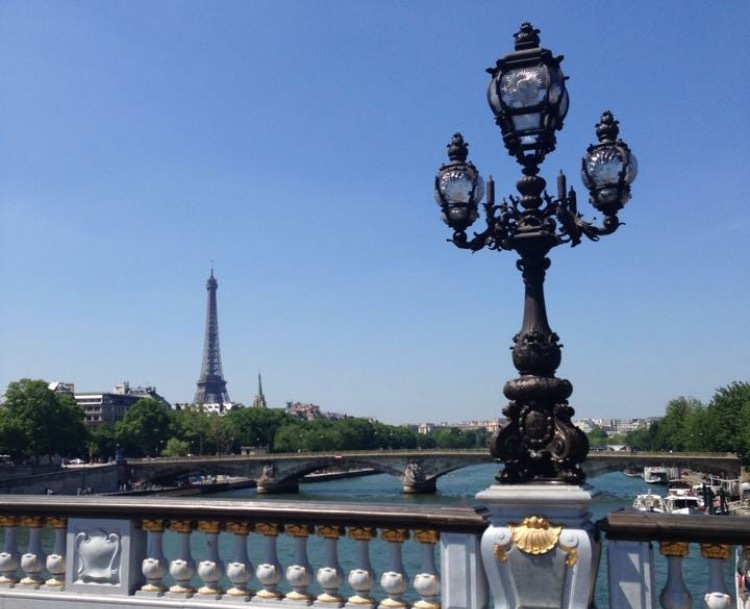 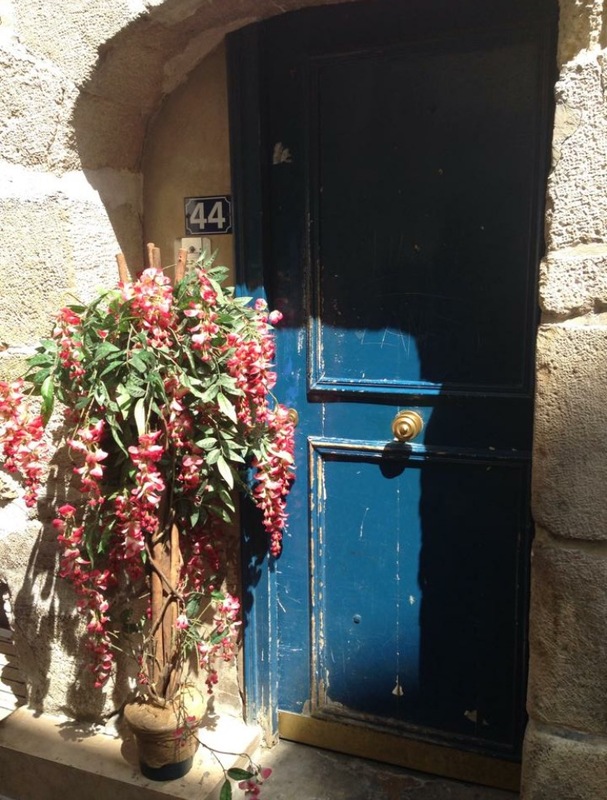 Thanks so much for reading Rach, It’s just such a magical city isn’t it! 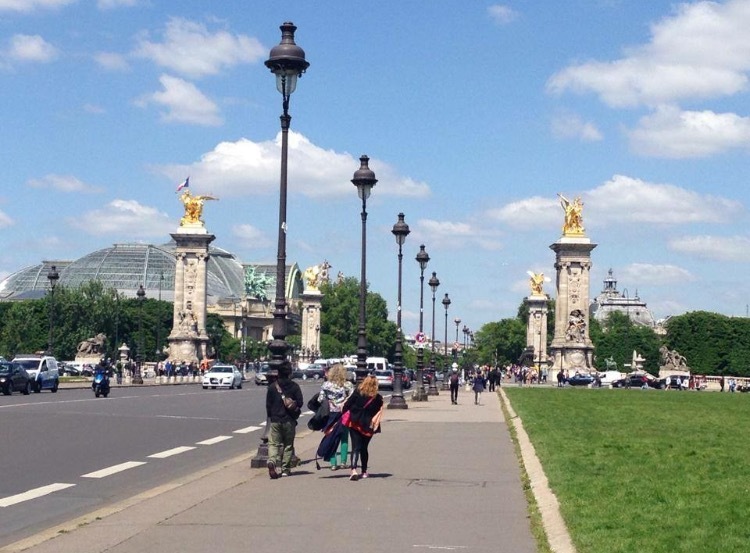 Thank you for your beautiful description of Paris! 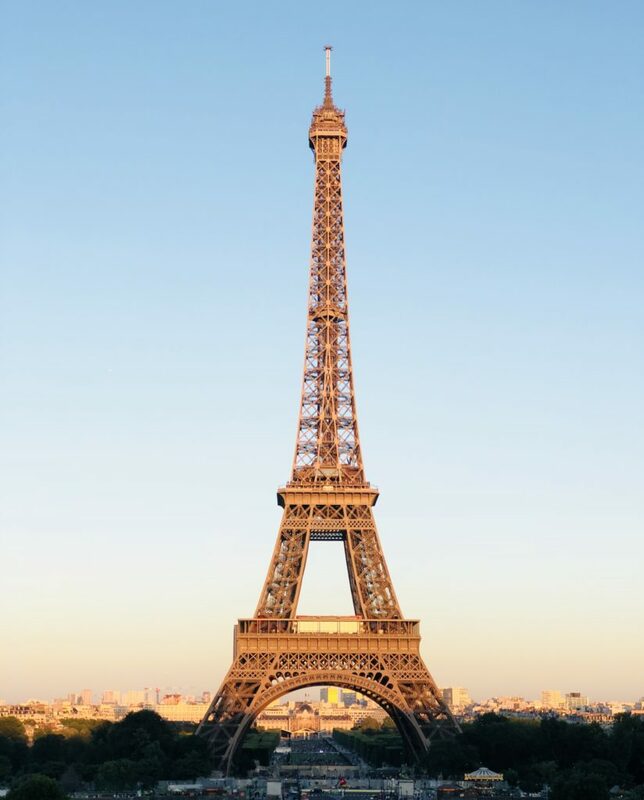 Reading it has made me want to go there more than ever!!! 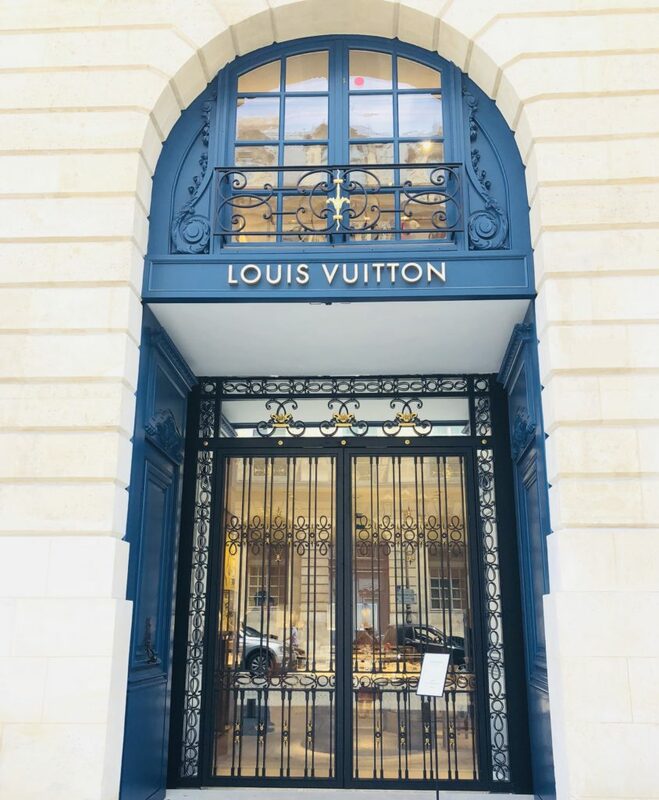 When I make it, I will let you know!!! 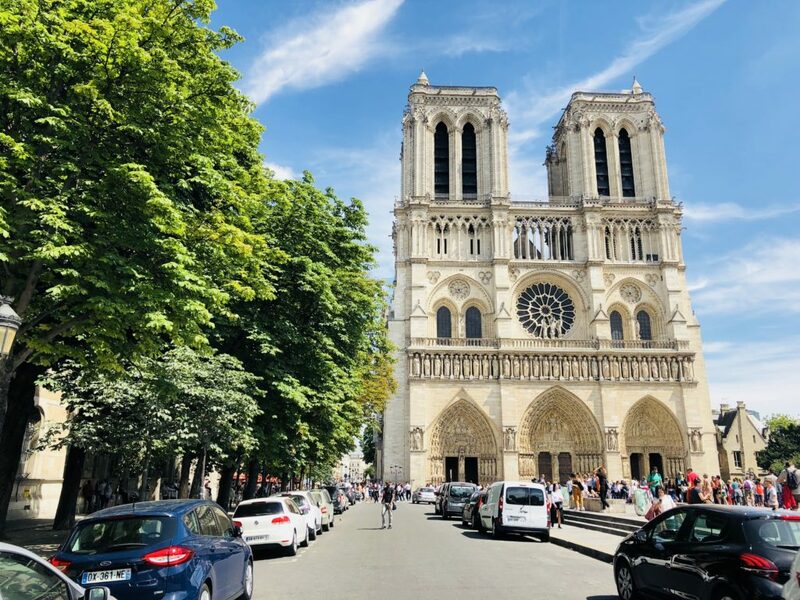 Thank you for sharing will be finally visiting Paris next Year and you have given me some wonderful tips for lots of pretty spots and wonderful food. 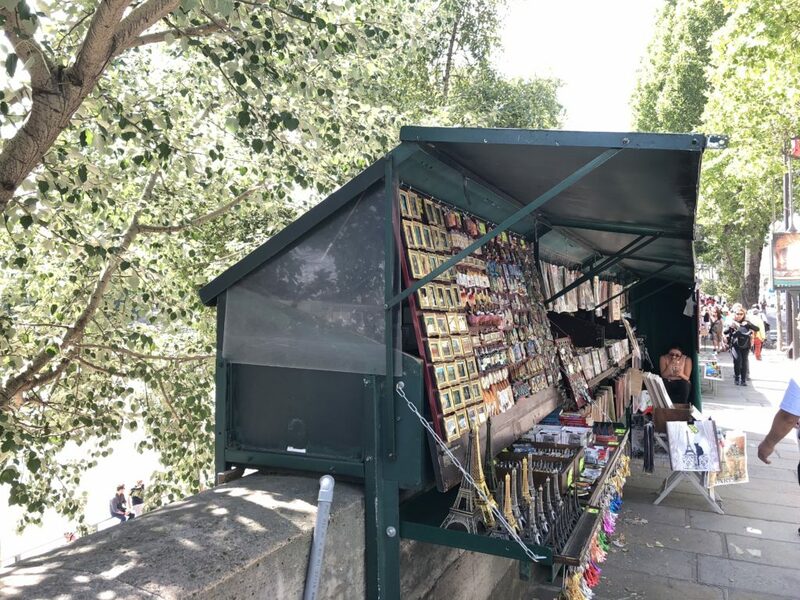 Hi Jacqueline, it really is the most magical city. 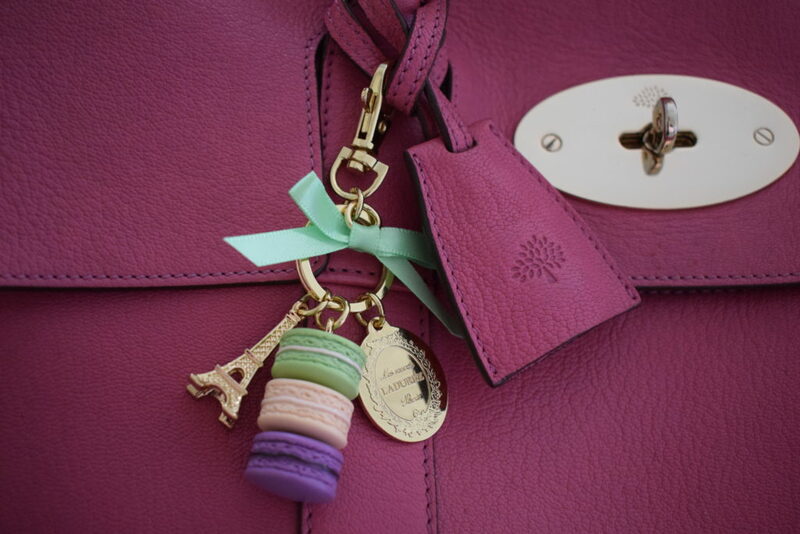 Hope you have a wonderful trip!